What a wang! 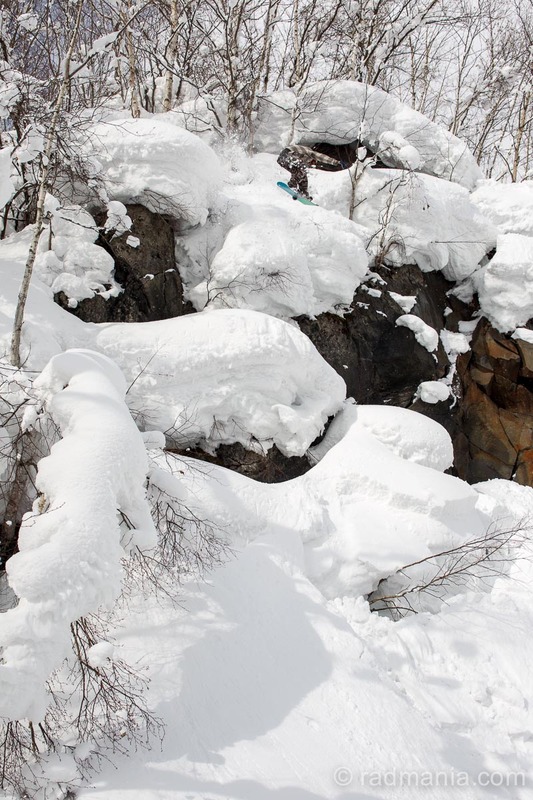 Triple methods from Torgeir Bergrem, Marcus Kleveland and Sven Thorgren. Run to the hills! 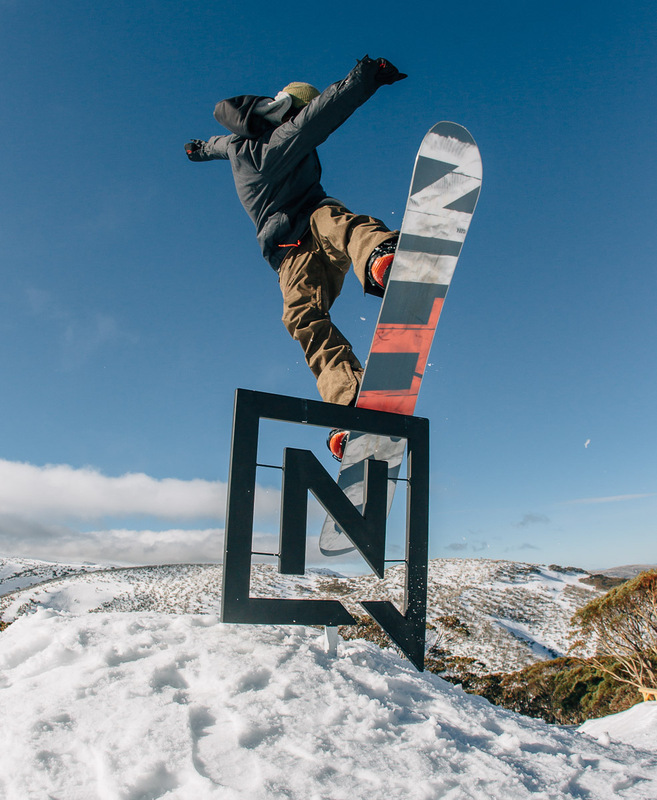 Last year in late August Nitro Snowboards Australia-NZ called me up to join them and shoot their Goodtimes weekend at Mt Hotham. 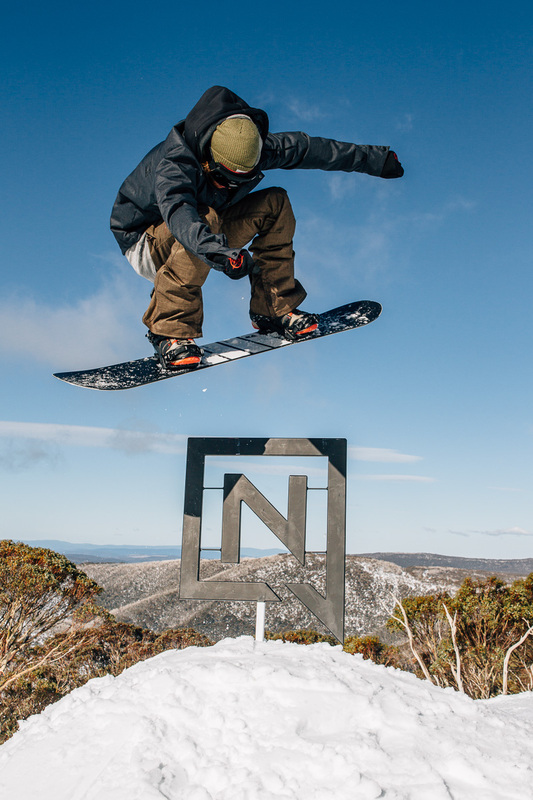 The Nitro International Team was in Oz, and were shooting their 2017 catalog at Hotham, and so I went along to document it all. 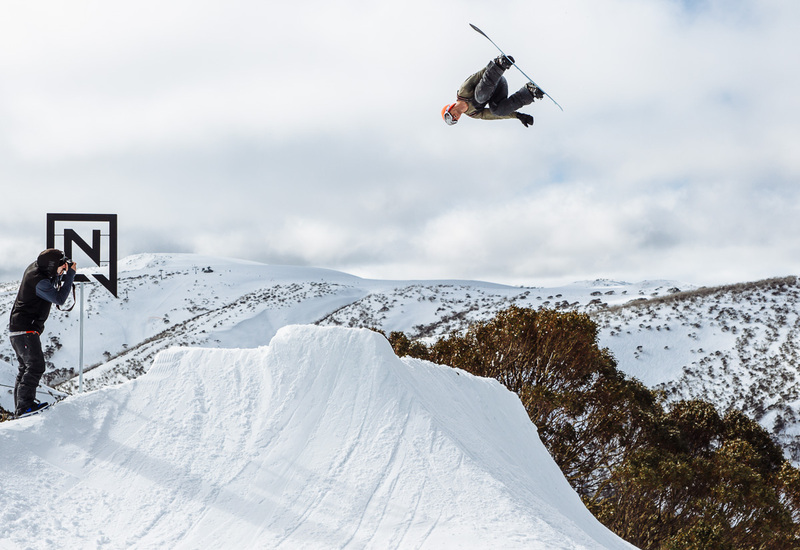 It was a ripping weekend with the crew, and some insane riding from the uber-pros on the features built by Hotham park crew and the inventive Rusty Toothbrush boys. 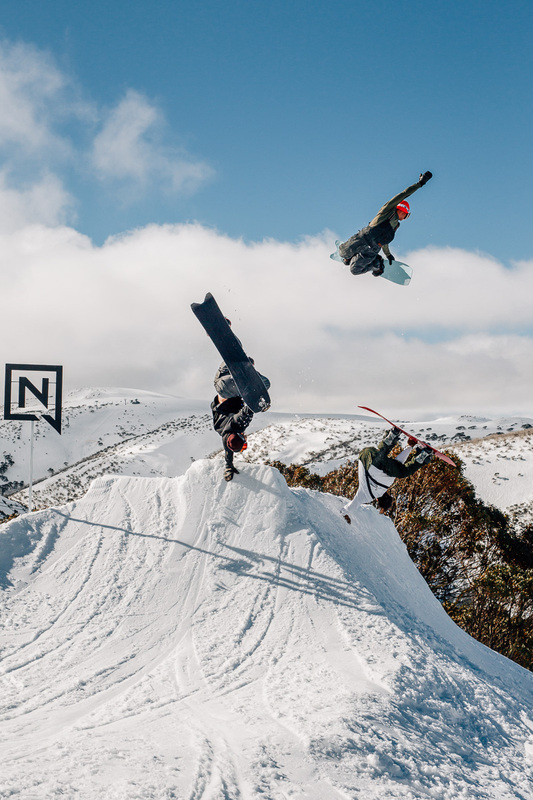 2017 Issue 1 of Australia-NZ Snowboarder published a five-page feature article using my words and photos from the weekend … but as always, there’s a lot of extra shots. So take a look at the gallery below. 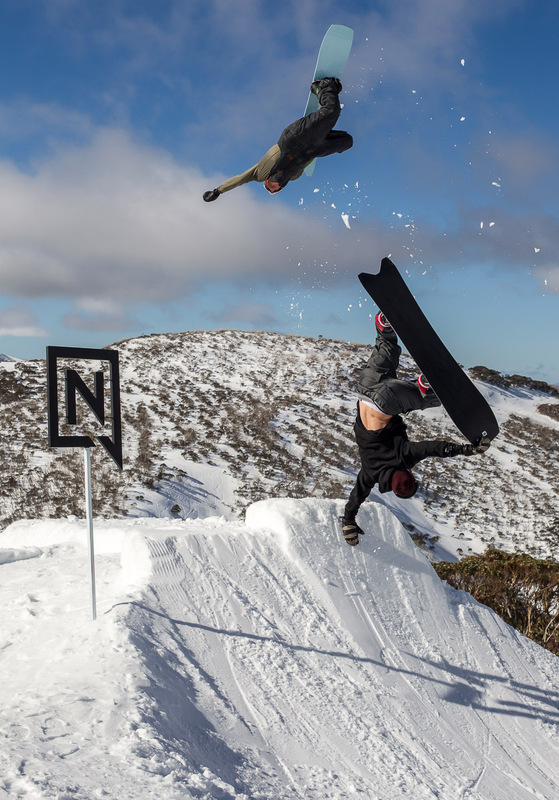 And if you’re interested in joining in on this sort of action, Nitro has once again joined with Mint Tours for “Run To The Hills” weekend at Falls Creek from 4-6 August 2017. Scope the deets here. See you up there! 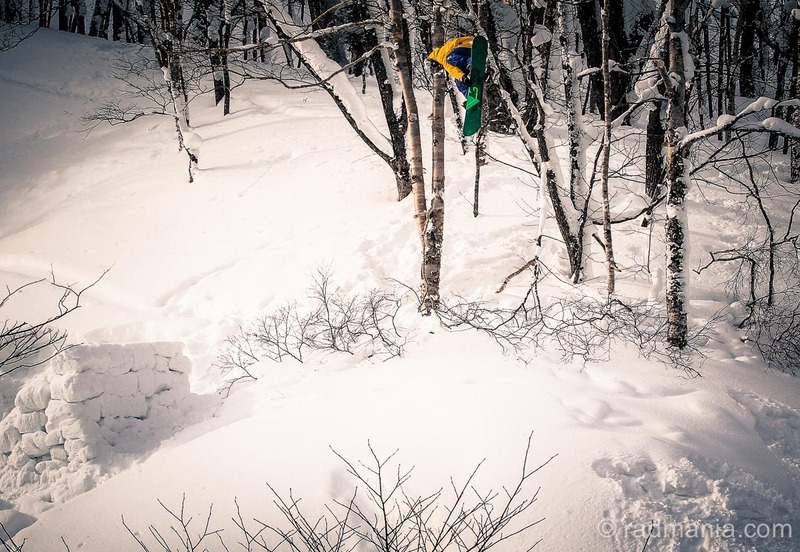 Jared Elston, Sven Thorgren and Torgeir Bergrem. TM Darragh Walsh still boosting with style. Triple treat. 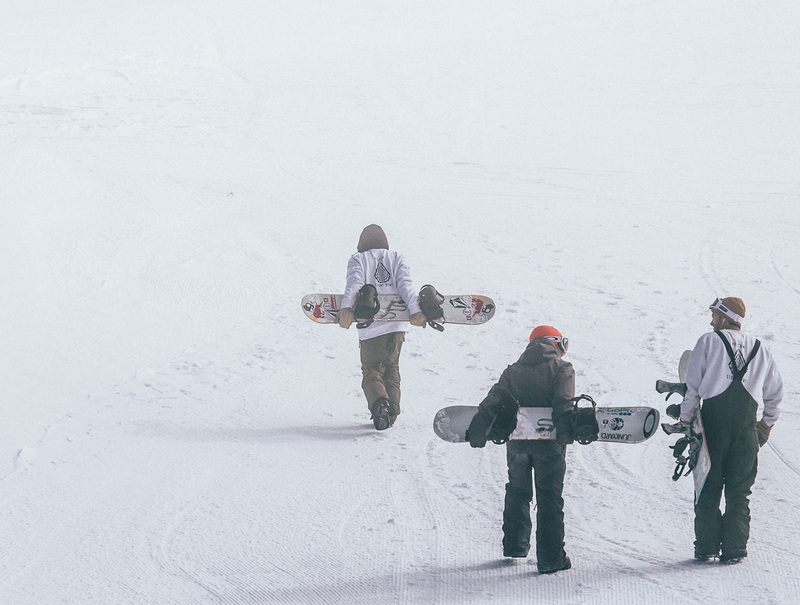 Jared Elston, Sven Thorgren and Torgeir Bergrem. Darragh Walsh wangin’ it out. Jared and Sven doubling up. 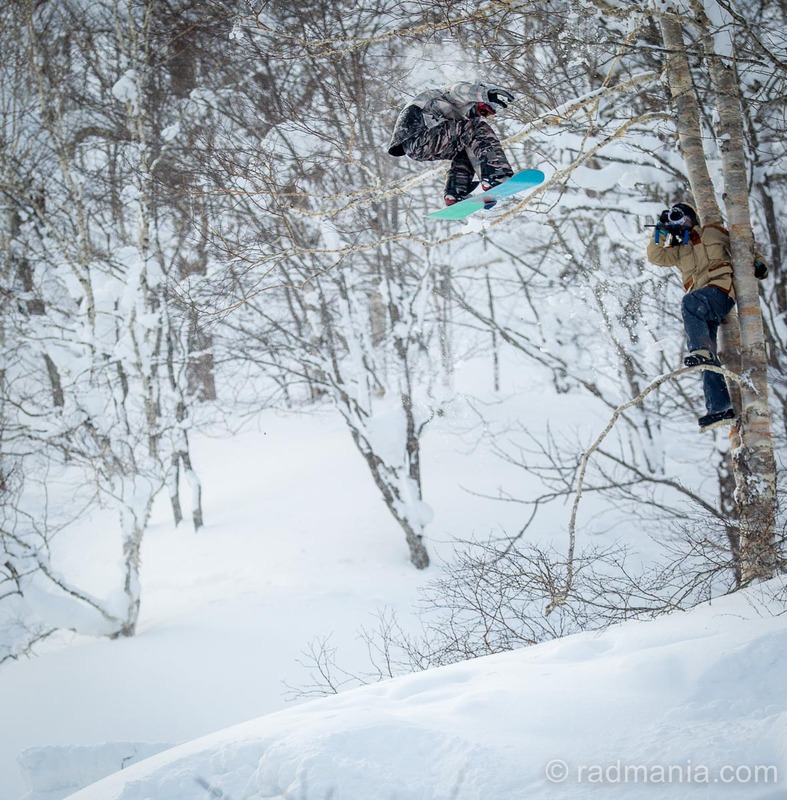 In early 2016 I was fortunate enough to tag along on a media snowboard trip with Olliepop films to Japan. 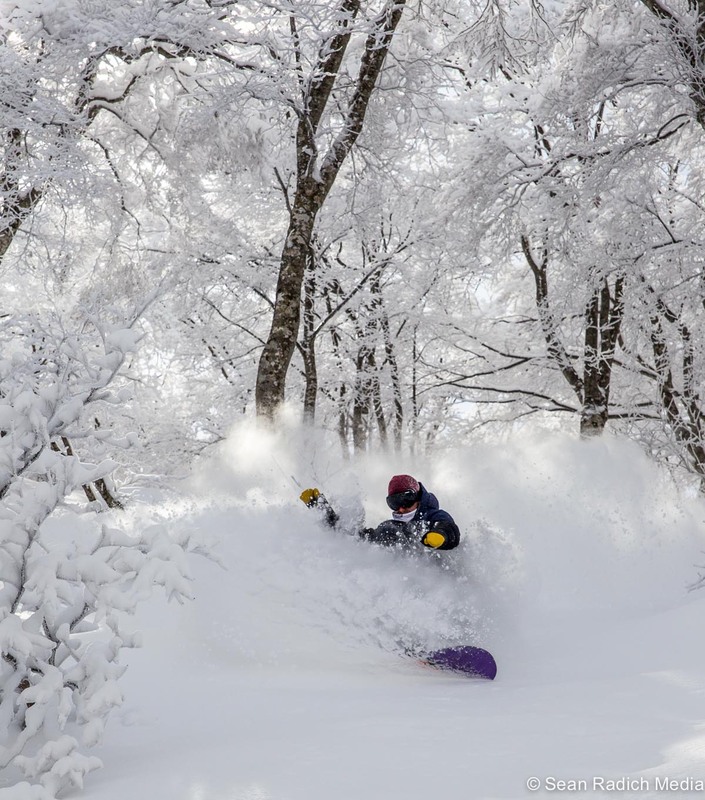 I had been to Japan on holiday just a few weeks previously, and we experienced mostly low-tide and marginal conditions at the start of what was to be the worst snow season in Japan for many, many years. 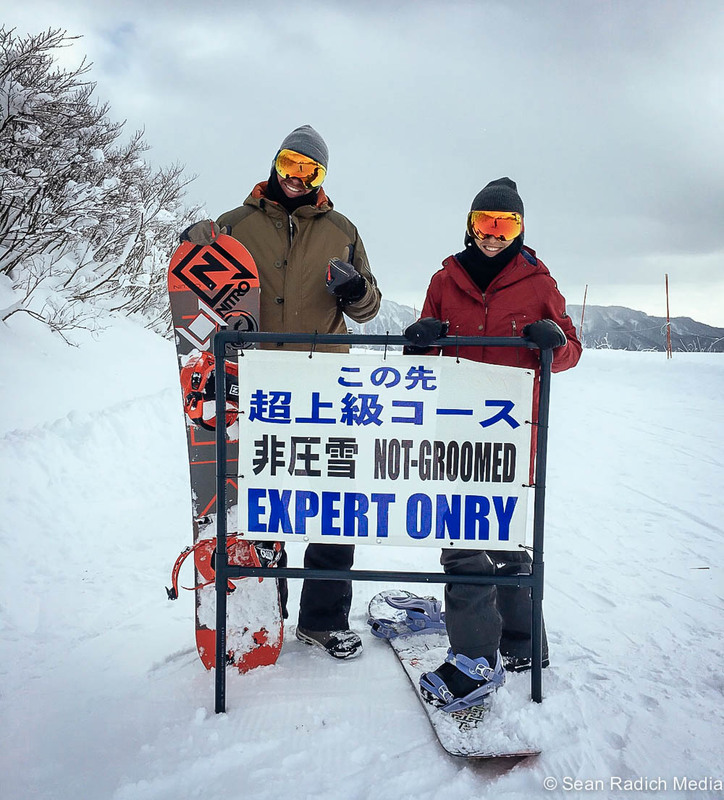 But luckily when I returned with Jeremy and the guys on the Olliepop Snorkel Squad trip, we well and truly scored some epic days: typical blower Japan pow and epic tree riding. Yes, there were also some marginal days in there too – even with some rain – but from the photos I managed to take, it goes to show that with some luck, and making the most of conditions on offer, you can get some really nice shots. 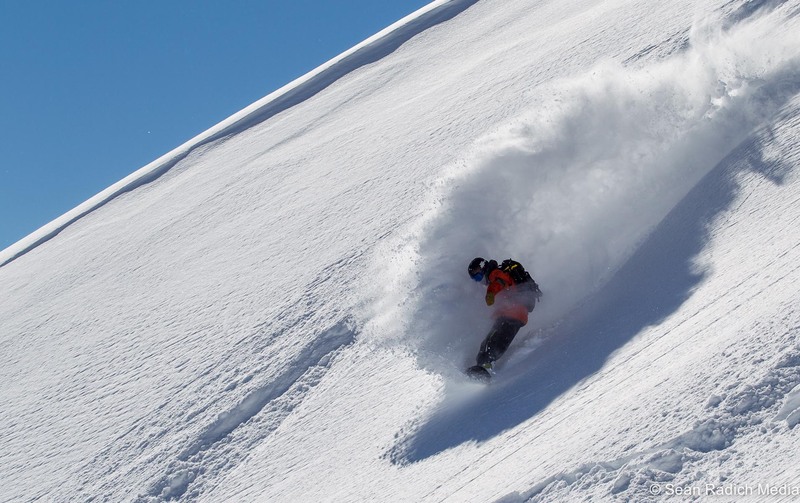 Jeremy Richardson did a great job of hooking up the trip with the assistance of Liquid Snow Tours, and the “action-models/good mates” in Jeremy Burns, Tim Nelson and Liam Peter Ryan worked super hard to get the shots. Thanks, guys. 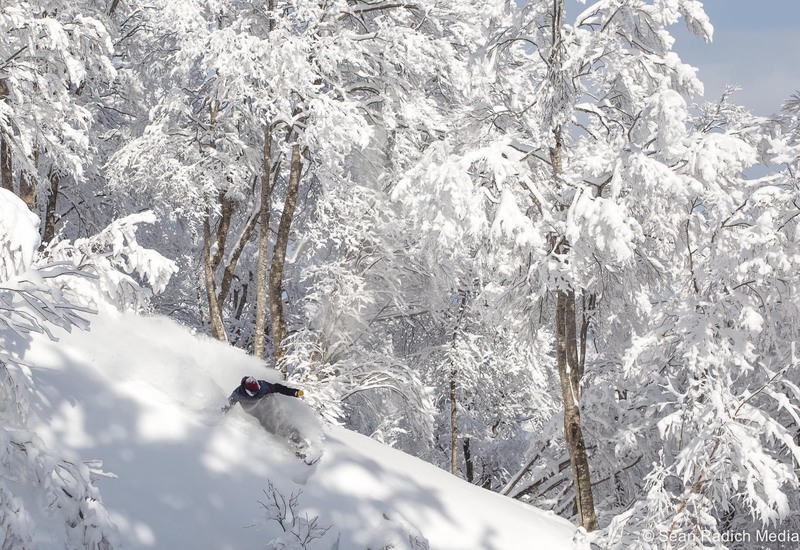 Below are the action photos I tookin the Hakuba valley, from the high-alpine above Happo-One and over the back at Cortina, and off piste at Nozawa Onsen. 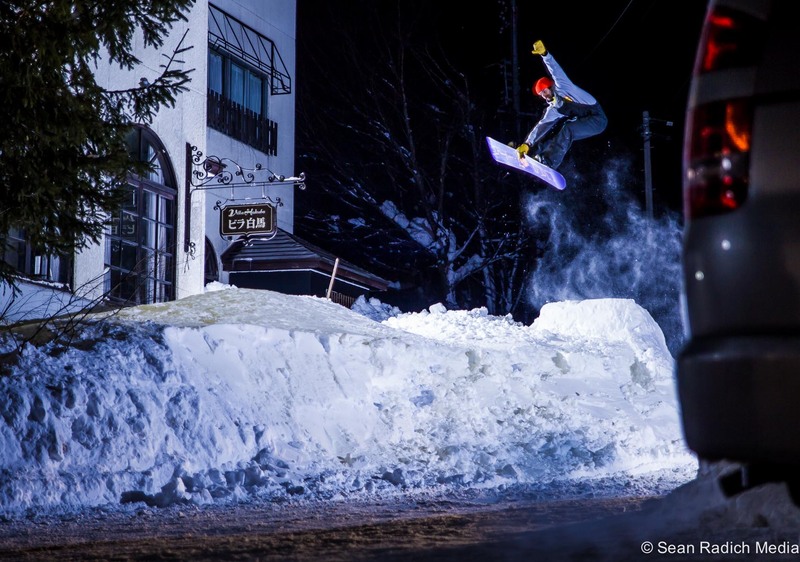 Enjoy … and I hope it inspires you to get some turns this summer/winter. Click the photos to enlarge them in all their pixelly goodness! 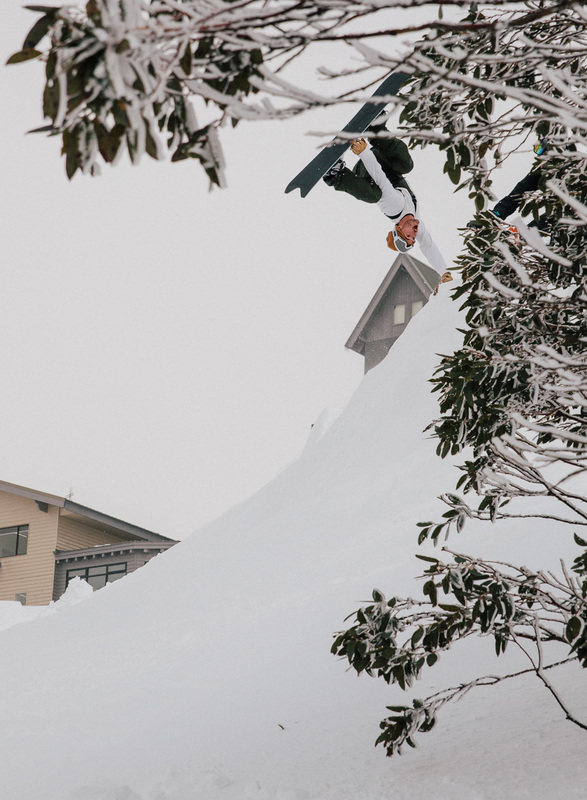 Above: I’d never shot with fellow Falls Creek alumnus James “Singo” Singleton before, but he certainly knows how to shred! 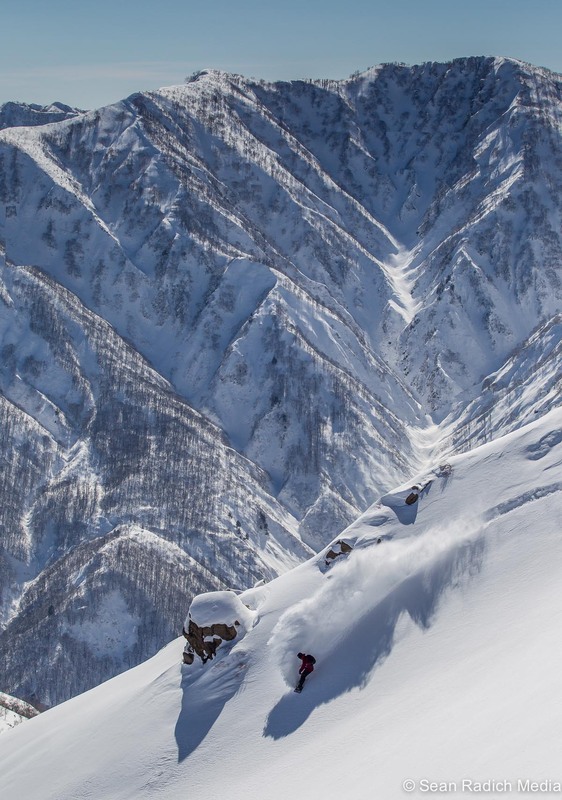 Above: Mat Galina always knows where to find the goods and works harder than anyone else I know to get the shots … including the epic photo at the top of this post from the back bowl above Happo-One. 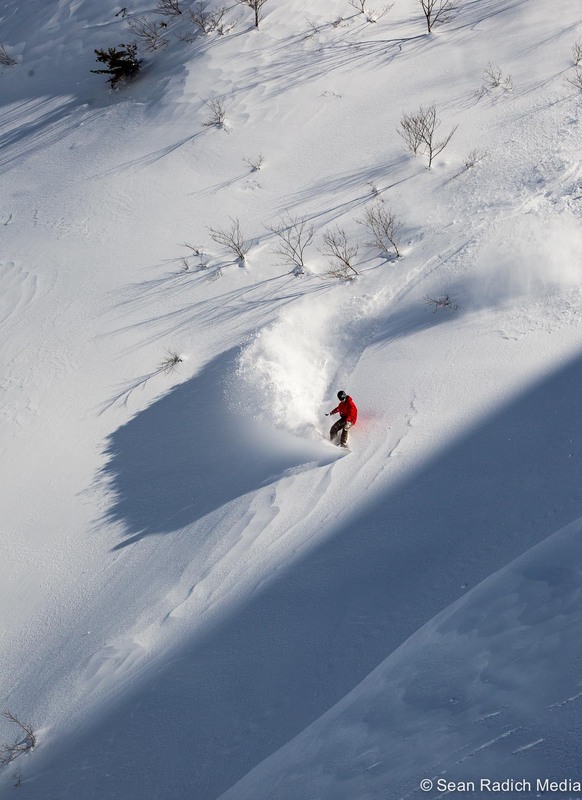 Above: Jeremy Burns surfing the white waves of Happo-One on our way down to the carpark (and bus stop) at Hakuba 47. 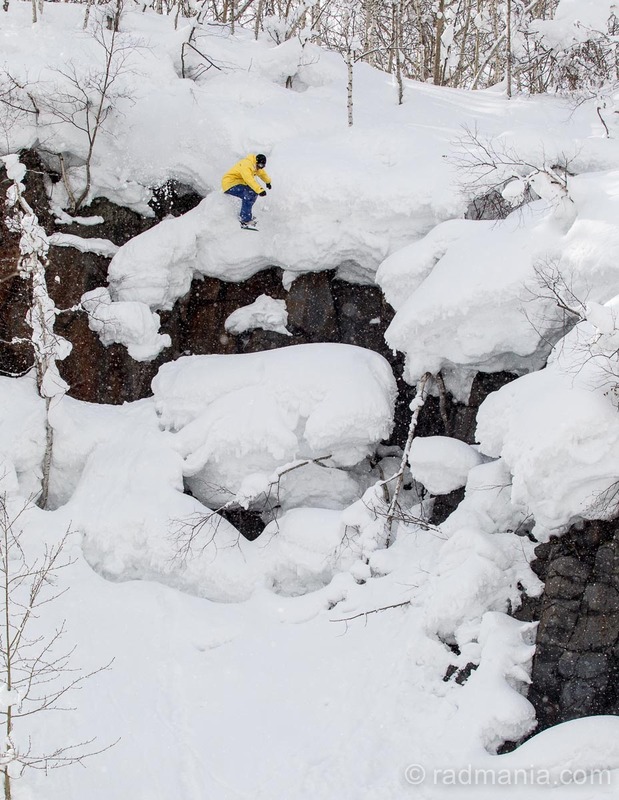 Above: Liam Peter Ryan (“LPR”) finding some launching pads as we descended from Happo-One to Hakuba 47. Above: Jeremy Burns and LPR found a side hit out the front of our hotel, and with a van tow-in, the boys gave me an opportunity to use my Elinchrom Ranger Quadra and Skyport flash set-up for the first time. To see more about the flash system, click here. 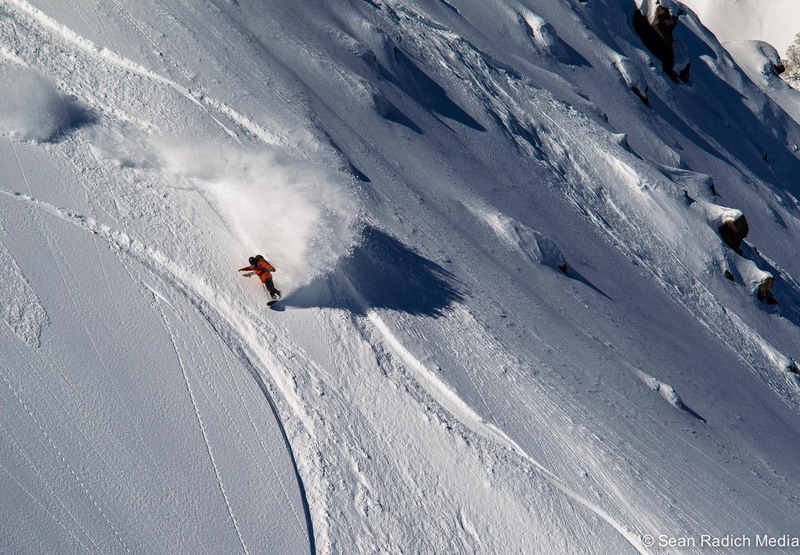 Above: We scored the first epic couple of days of the year at Cortina. 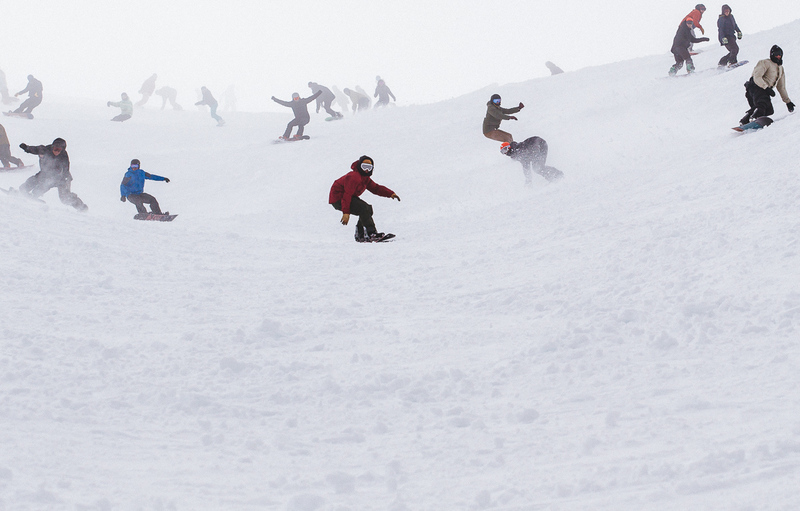 Tim Nelson (red jacket) and Jeremy Burns (maroon jacket) got the goods. 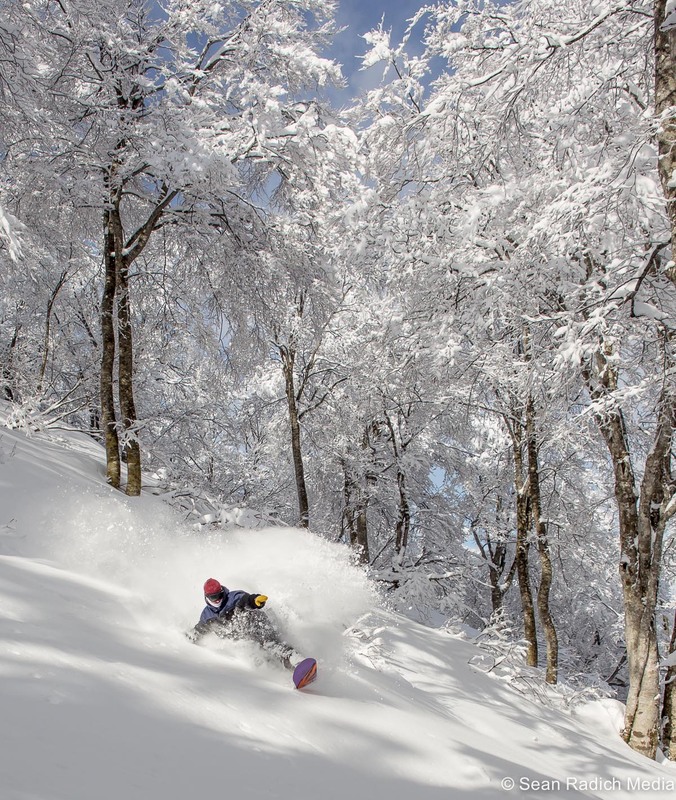 Above: Nozawa Onsen is a pretty magical place, especially when fresh snow turns the trees all-white, and Tim Nelson made a mere 10-15 of fresh dust-on-crust look pretty epic. 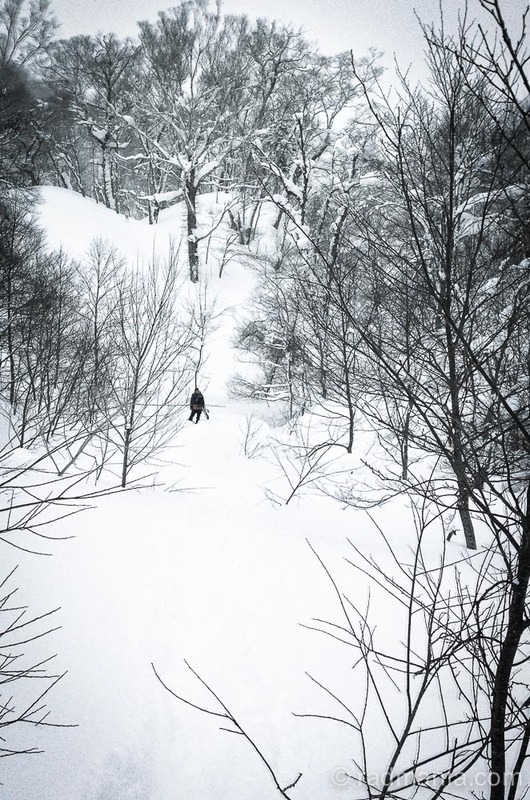 Above: Another opportunity to use the Elincrhom Quadra and Skyport at a Bhuddist temple on the edge of Nozawa Onsen. Jeremy Richardson shifty. 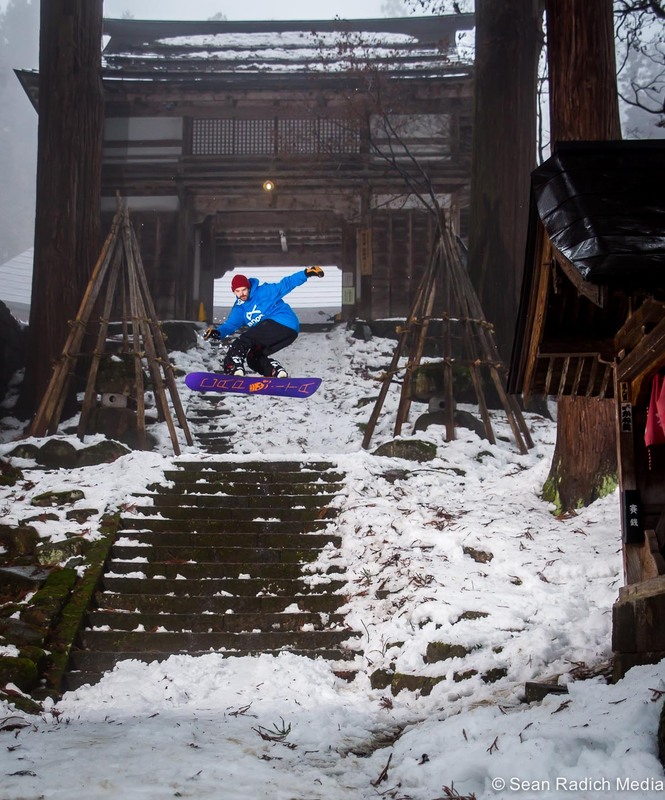 And make sure you check out Olliepop Films feature from the trip here. 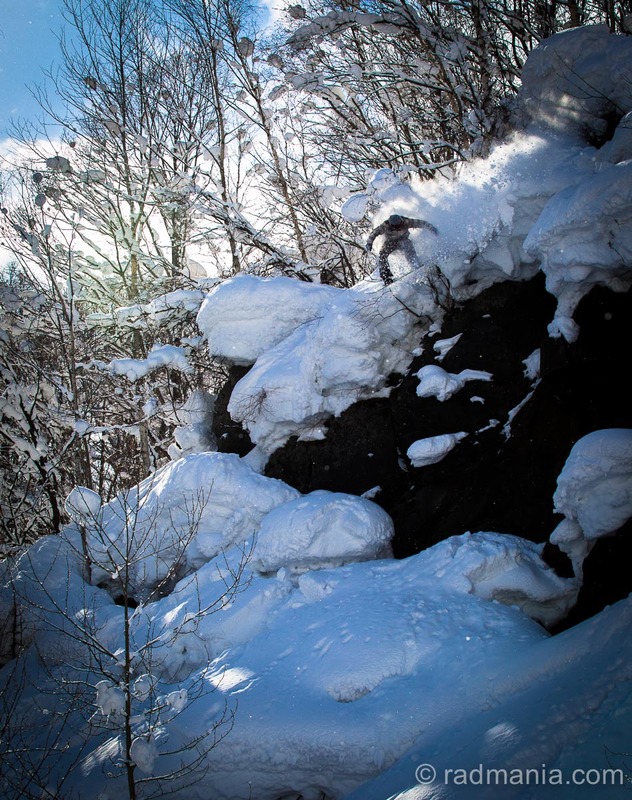 OlliePop Films’ Jeremy Richardson capturing Mat Galina’s rooster tail in the high alpine above Happo-One. An epic adventure with a great crew. To see the action photos click the link, and for some lifestyle photos, go here. Take a look at the feature film below. And to see some extras and behind-the-scenes check out Olliepop Films webpage. With thanks to Liquid Snow Tours. What a view! 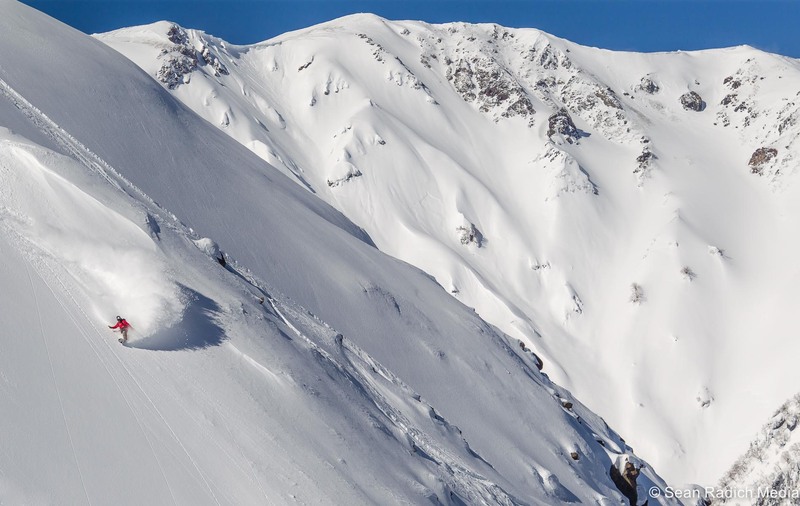 Buttermilk Mountain’s 22-foot perfect superpipe, flanked by the slopestyle jumps on the left, and big air booter on the right. 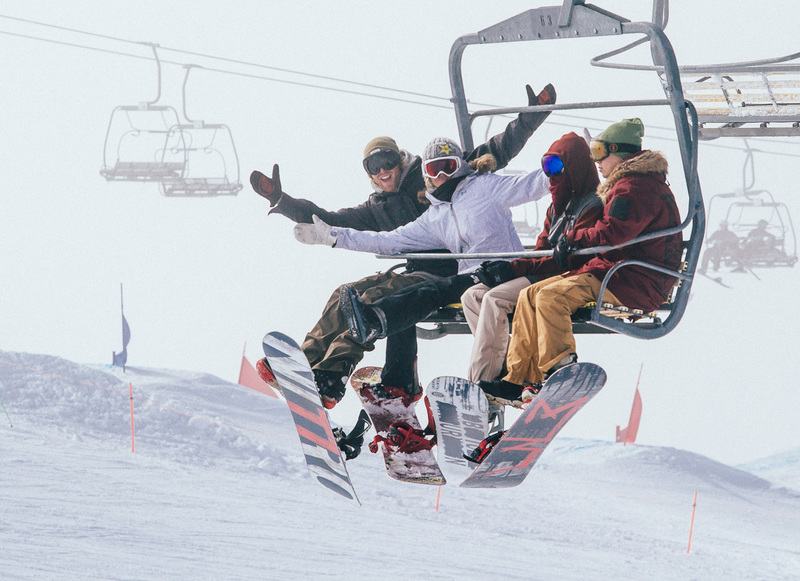 The X Games is the self-described biggest and most important winter action sport competition … outside of the Olympics, of course. And after finally getting to experience my first X Games just a couple of weeks ago, and seeing the transformed Buttermilk mountain with it’s huge mounds of snow, lighting arrays and TV and spectator infrastructure, I’d tend to agree. The fact that so much is packed into such a small portion of the mountain is quite amazing. 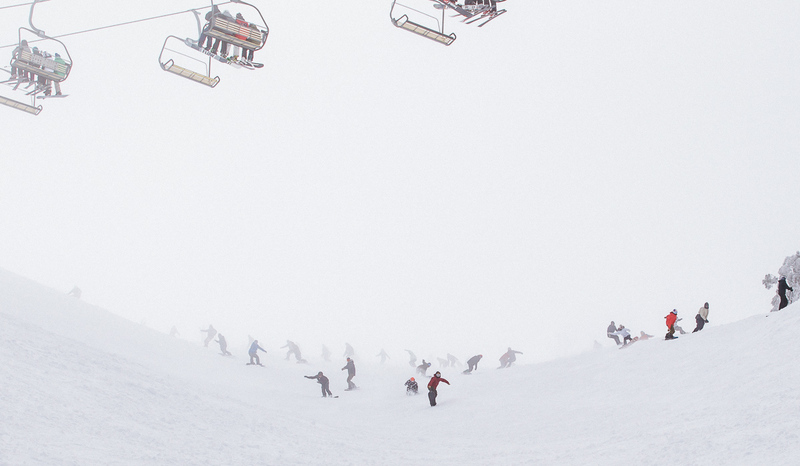 One chairlift accesses the SBX track up higher, the slopestyle course, superpipe and big air jump in front of the base lodge. 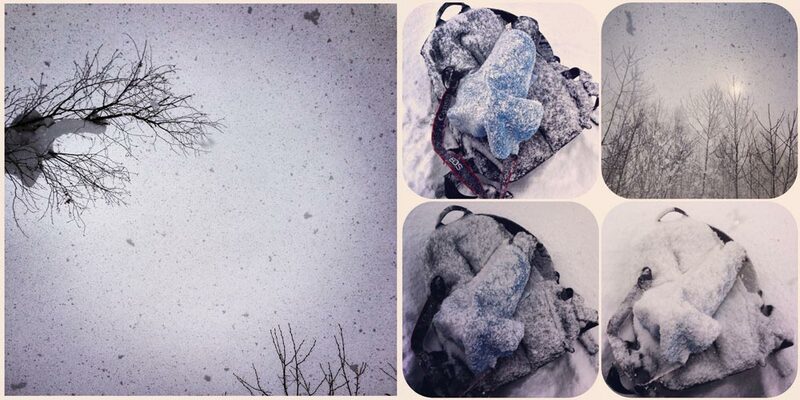 It was an awesome few days in Aspen, checking out the resorts by day, and the X Games craziness by night. 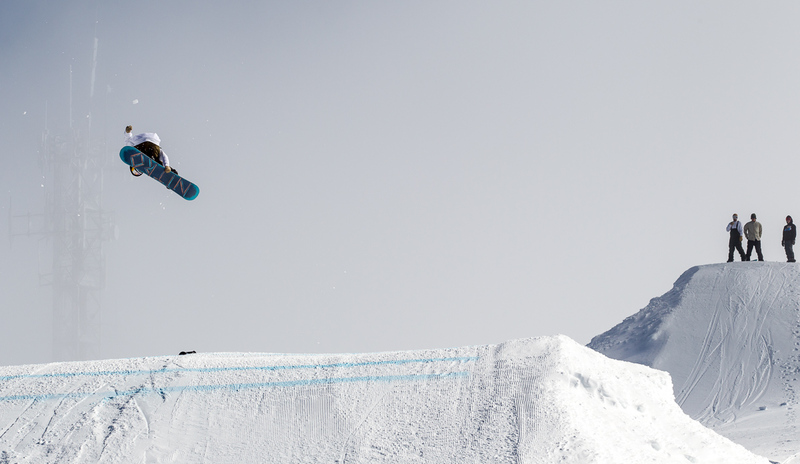 The highlights were seeing Scotty James throw down and Torah Bright securing a bronze medal on the big stage. 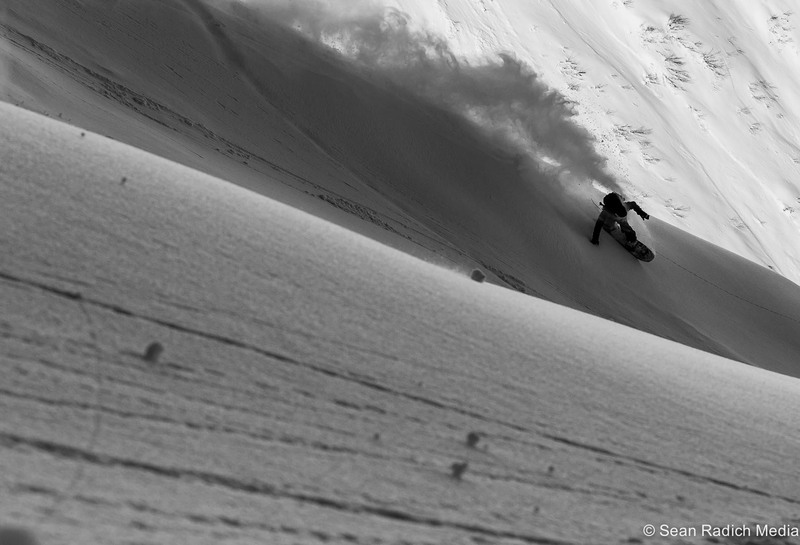 A shot or two from the trip should make it into Australian-NZ Snowboarding Magazine this season, so keep an eye out. If you ever get a chance to experience the X Games I couldn’t recommend it higher. Yeah, it’s very “Yee haw, ‘Merica rules!” with it’s Navy sponsorship, simplified narrative and questionable judging catering to ESPN audiences and the mainstream spectators (ie it certainly ain’t a core, cool event like the US Open or Stylewars in Oz), and it really does get frigidly cold outside at night. 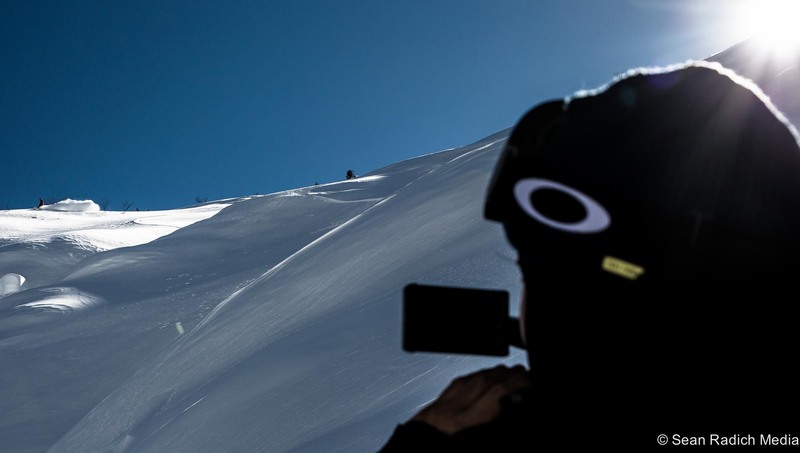 But the huge crowd, the TV razzle-dazzle, smooth running of a legitimately big event and the insane feats of snowboardery you get to witness more than make up for any negatives. And in the meantime, enjoy these snaps. 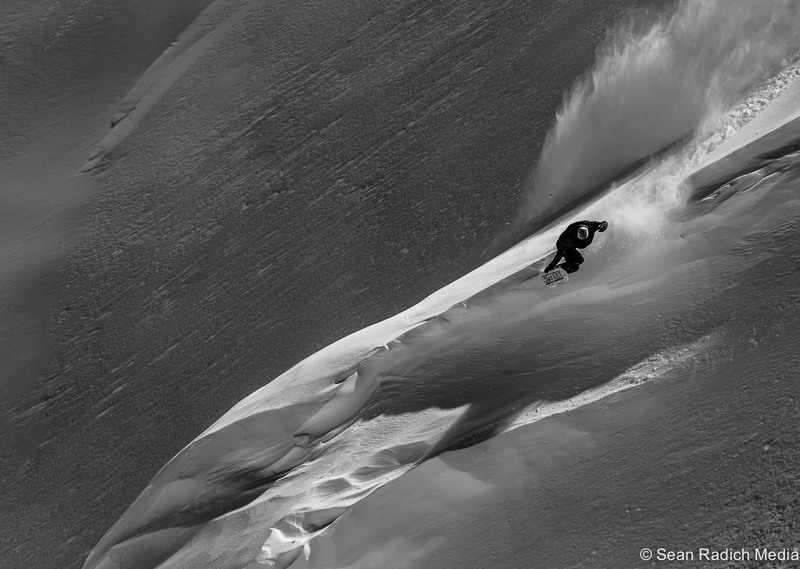 Scotty Lago spinning into the Colorado sunset. Taylor Gold with a classic method. 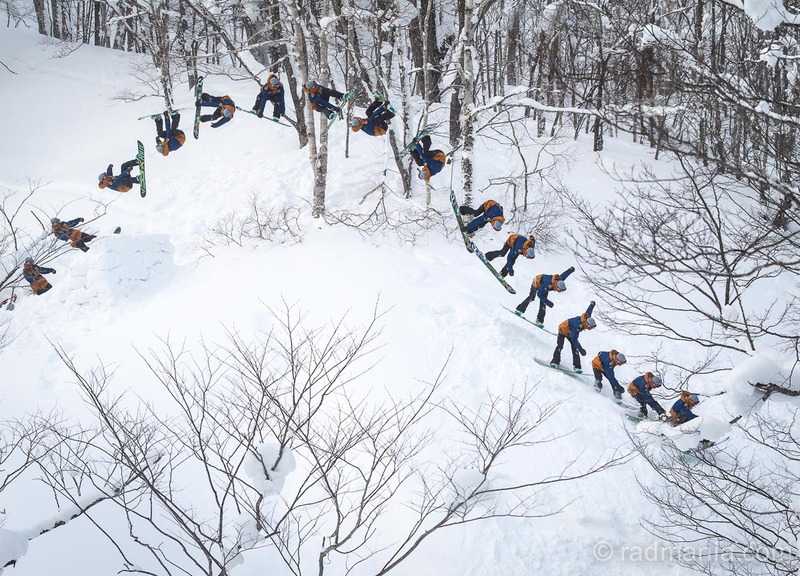 This gives you an idea of how big the snowboarders go. The amplitude out of the pipe is just something that can’t be translated to TV. Massive. 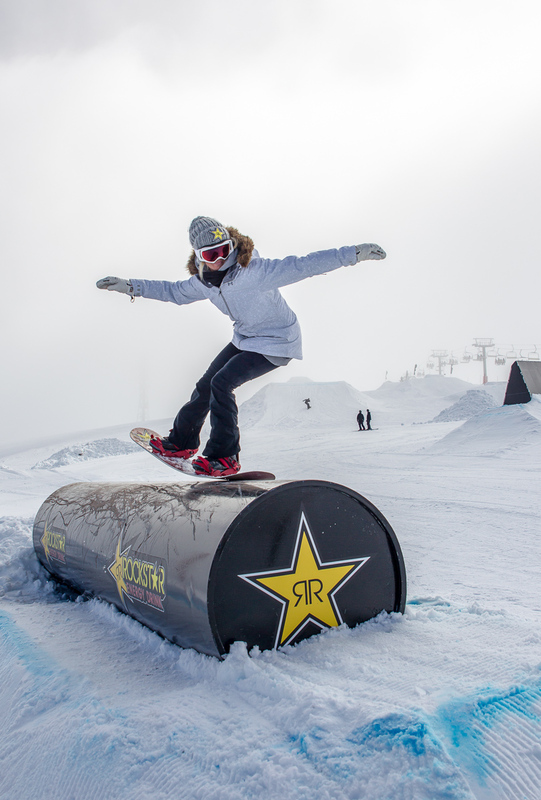 Shaun White with his black on black on black method. 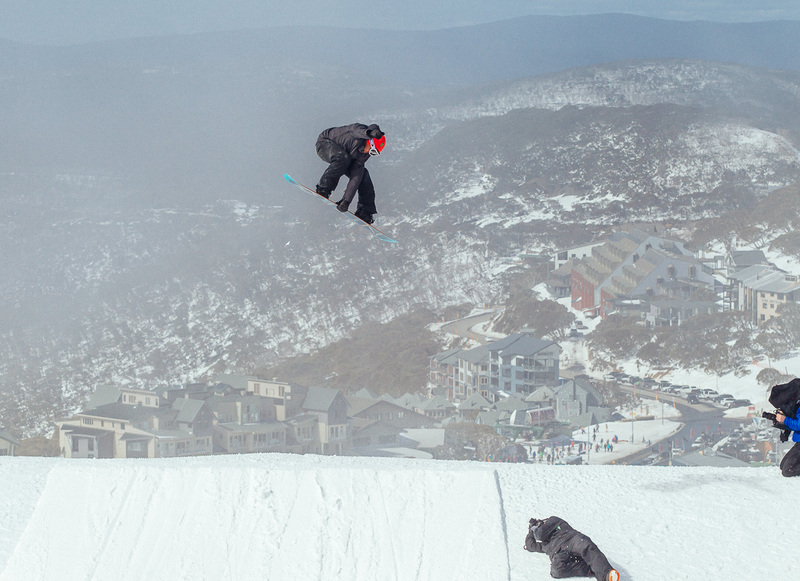 Scotty James styling it out with a Fakie Air To Regular to kick start his run. 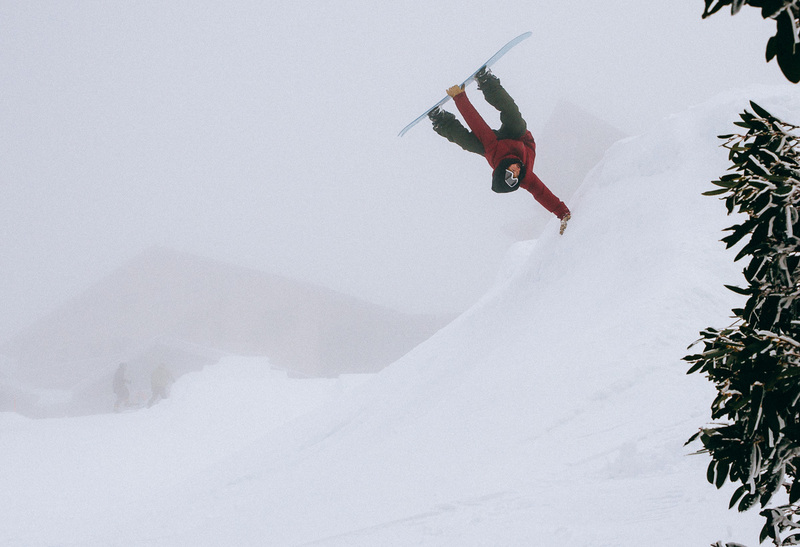 Shaun was a little off his game after a year away from competitive snowboarding. He still went huge, but interestingly 5 feet less on his first hit than last year. And here you can see him reach, but miss, the double tail grab. 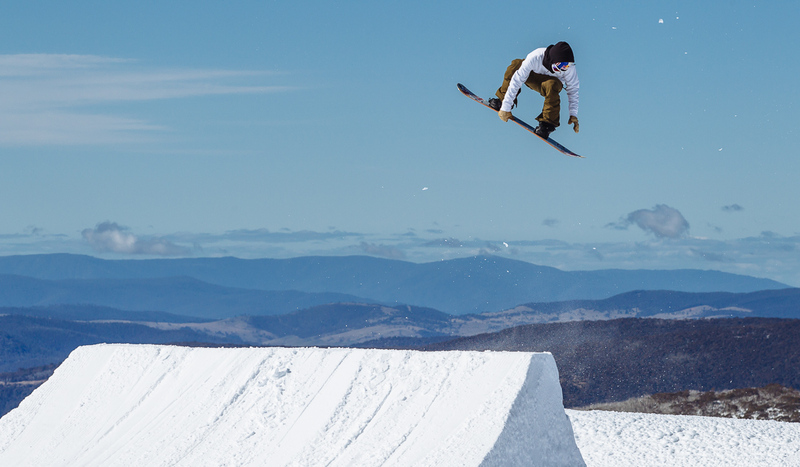 Danny Davis’ run was impressive for its amplitude, style and inventiveness. A worthy Gold Medal winner. DD switch method = all kinds of awesome. The “made-for-TV” Big Air didn’t give a great vantage point for the hundreds (thousands?) of punters or the photographers, as the jump mound was so big you couldn’t get a good view of the kicker or landing, even along the monster pipe wall. But Yuki Kadono was impressive all night. 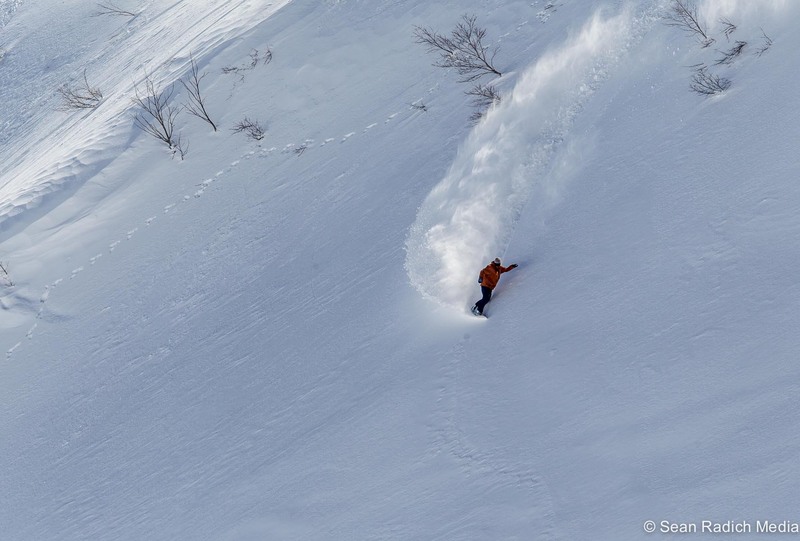 Torstein Horgmo with his signature smooth style. Yuki Kadono throwing some sort of ridiculousness. 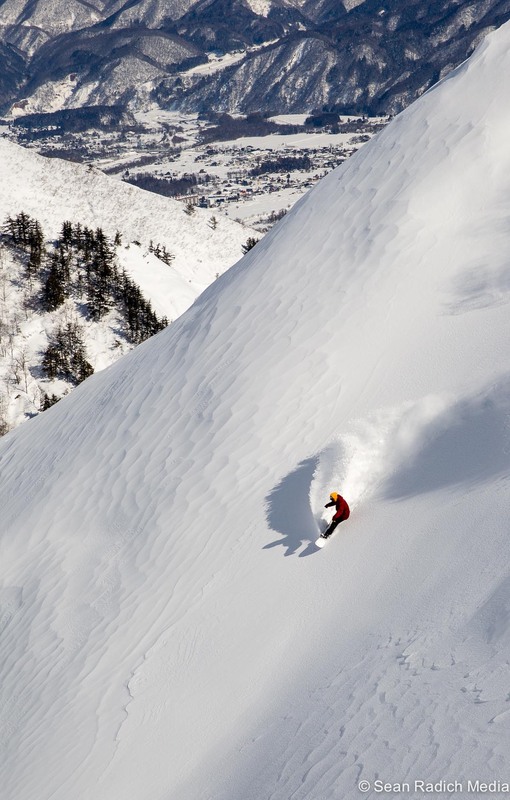 Torstein looking to launch into the sky like the private jets waiting on Aspen’s runway in the left of the photo. Torah went so big on her second warm-up run that I cut off her tail. But it was too nice a shot to not post it. 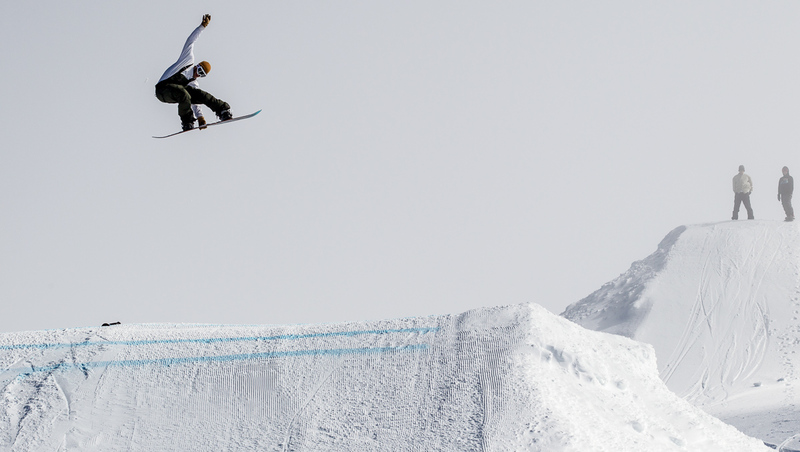 Kelly Clark goes massive, but her style is doesn’t compare to Torah’s smooth, effortless riding. This boned frontside air was before she started the ballerina 1080’s on her first hit. All eyes and lenses focussed on Torah’s money-maker … her famous McTwist, of course. 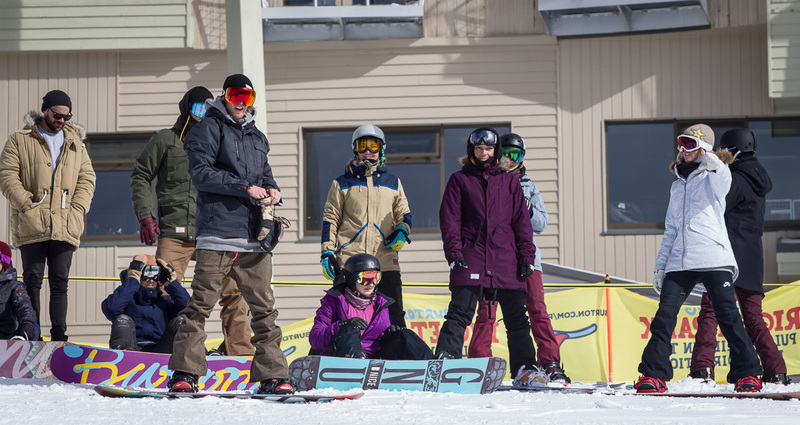 Chloe Kim was impressive – she went big, mixed up her run with much of it switch. 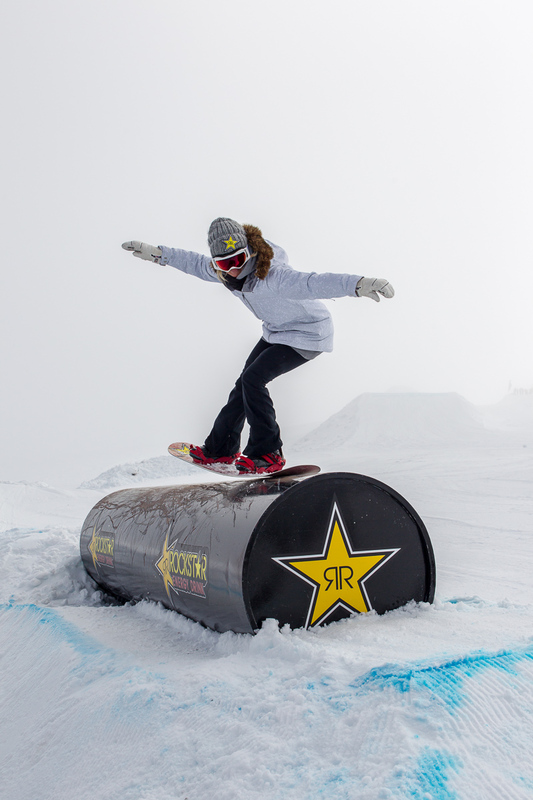 At 14 she’s already an X Games gold medallist, and with some emphasis on style, she will be hard to beat. And in case you missed it, take a look at Danny Davis’ gold-medal-winning run which he threw down on the last run of the night. Epic. 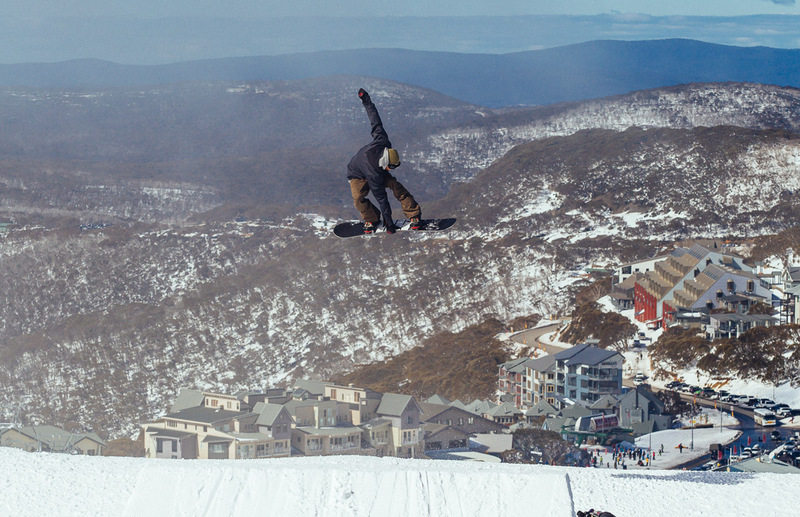 A few weeks ago the director of The Australian Slopestyle Tour called me up asking if I could help out with some media services for both The Mile High by Carlton Dry at Perisher and Stylewars at Falls Creek. He had me at hello …. beer! 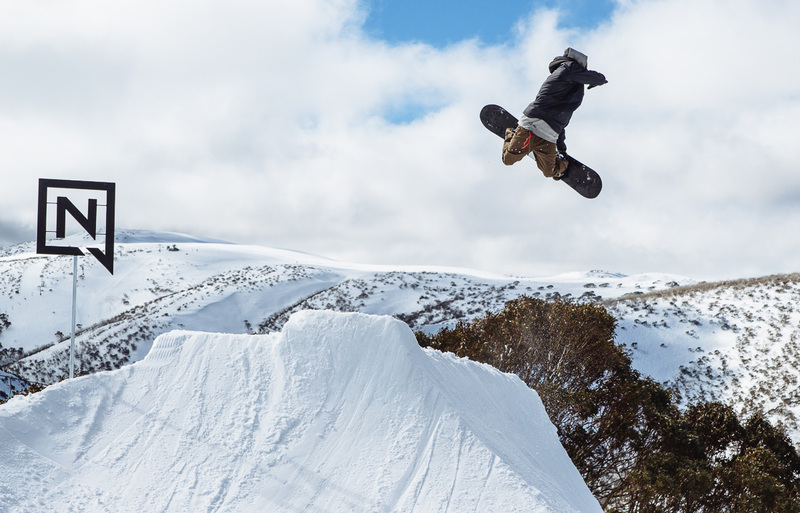 It was great being back in the epicentre of the snow scene, with the best snowboarders and skiers in the world congregating on Jindabyne for their off-season, and our winter. 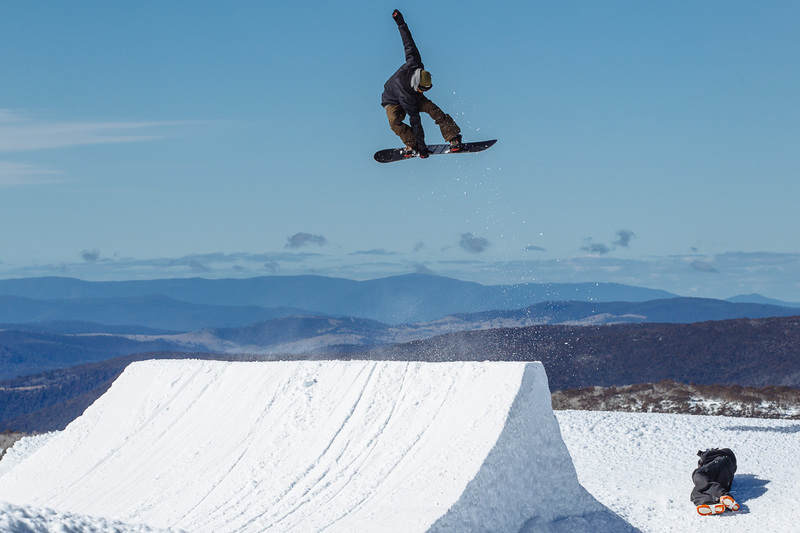 Charles Beckinsale, had helped fashion an epic and inventive slopestyle course in Perisher’s Front Valley, and with all the big dawgs in town, the level of snowboarding (and skiing) was way beyond what has ever been witnessed in this land. 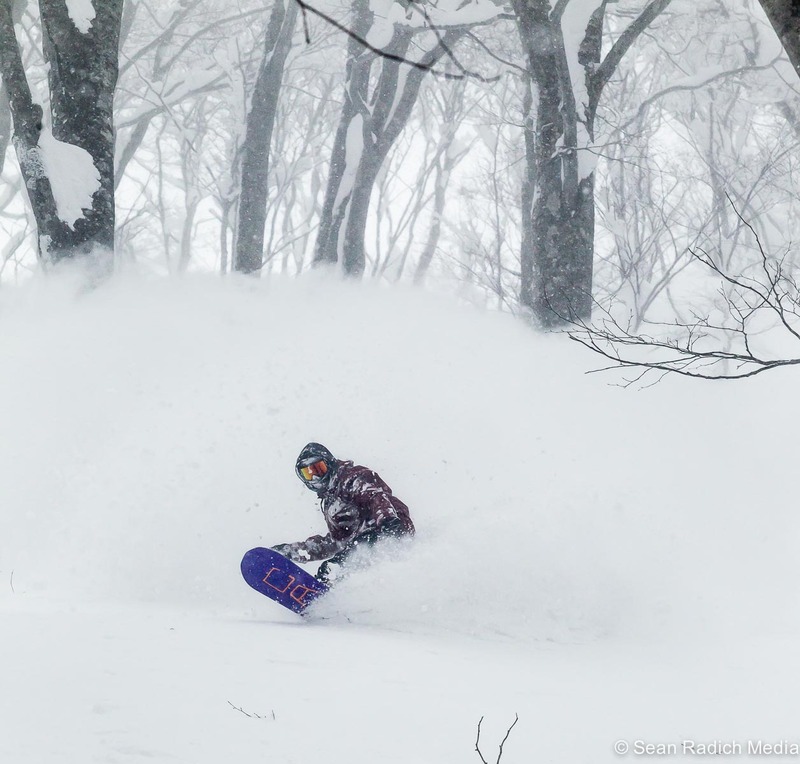 I was primarily employed by Rich Hegarty to help write the press releases and add to social media, but of course I couldn’t be surrounded by all this snow-shredding awesomeness without giving my new-ish Canon EOS 1D Mk IV a work out. 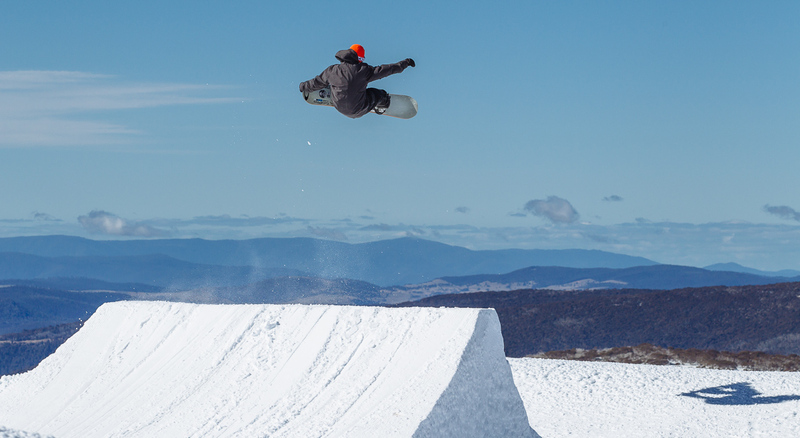 Perisher’s slopestyle course is always a bit tricky to shoot, and I certainly took my best photos at the ol’ stomping ground of Falls Creek’s Ruined Castle terrain park during Stylewars. 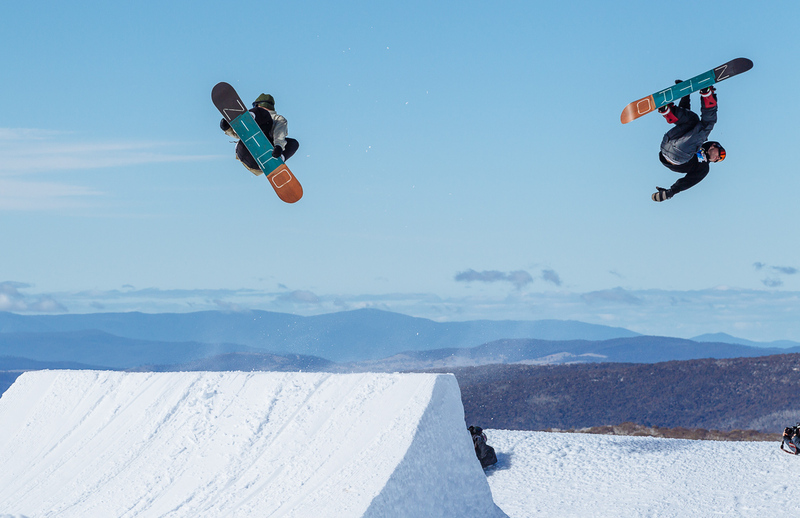 But it was a nice change to be able to act as a second shooter, alongside ANZ Snowboarding Magazine’s Alex Roberts, in order to cover all the action across the park. 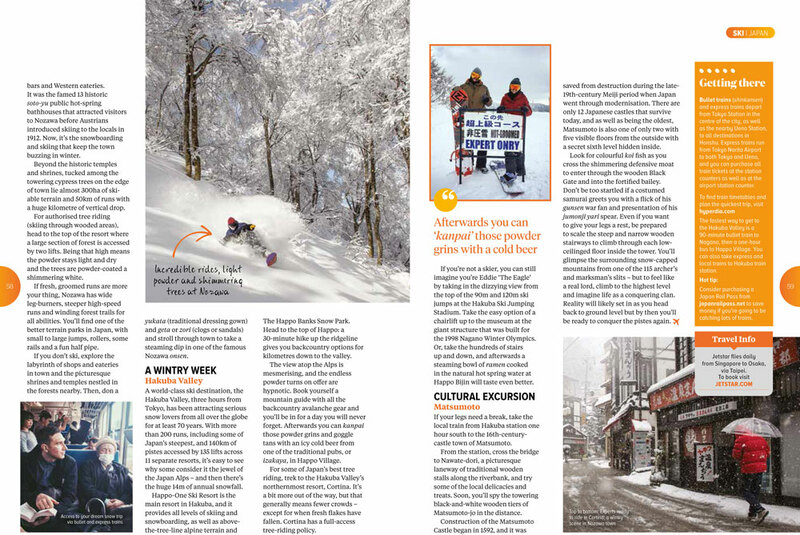 And it was a pleasant surprise to see The World Snowboard Tour use my shot of winner Kyle Mack for their news article. 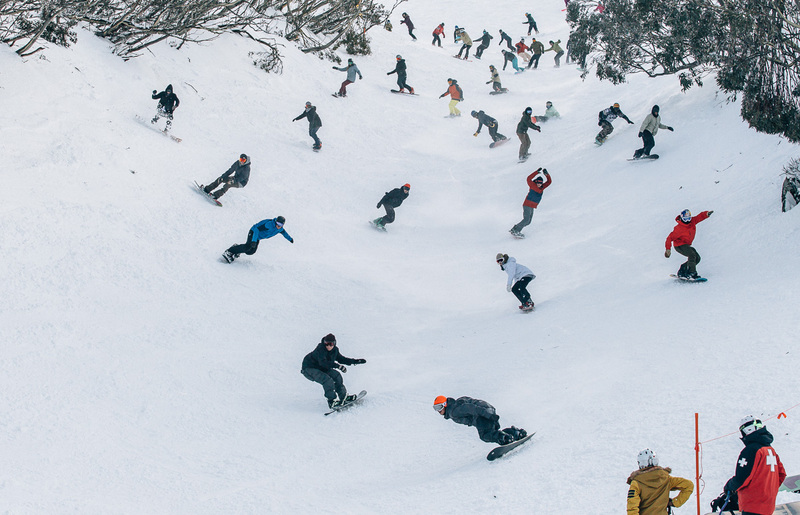 A great two weeks filled with fun and friends … and quite a bit of that free Carlton Dry. It was so good to be back! 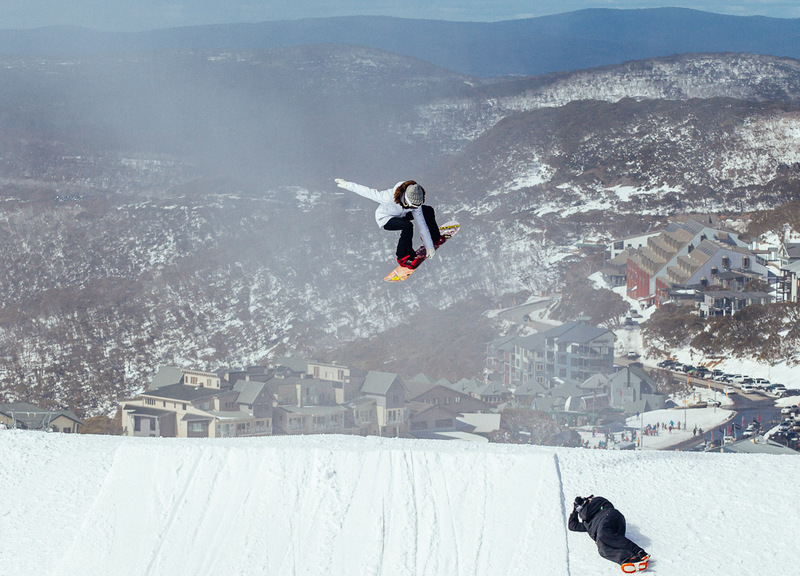 Kyle Mack spinning over Perisher’s last jump for The Mile High. View of The Mile High slopestyle course. Billy Morgan at The Mile High. Kyle Mack styling. Stylewars 2014. Darcy Sharpe high in the sky. 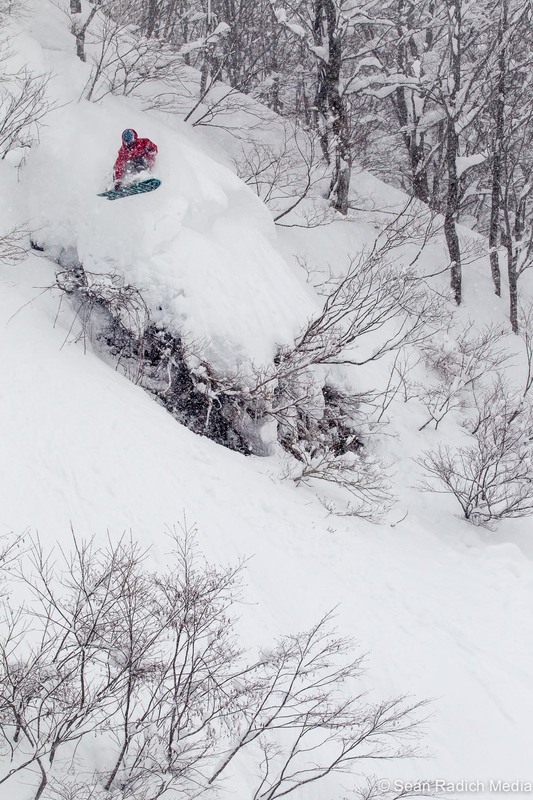 Asher Humphreys launches the gap. 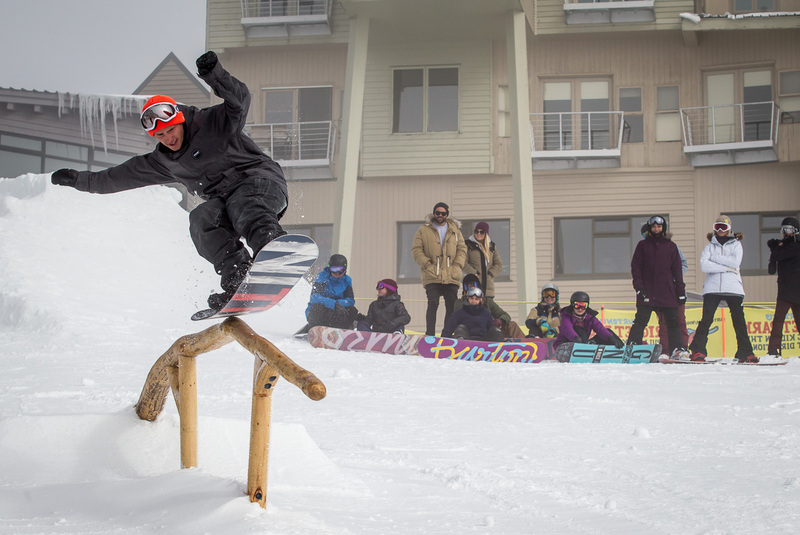 Kyle Mack’s Stylewars Grandmaster-winning run. Super stylish frontside 720 off the toes. Mats Kulisek in front of a moody sky. Logan Short wowed by the appearance of double rainbows. 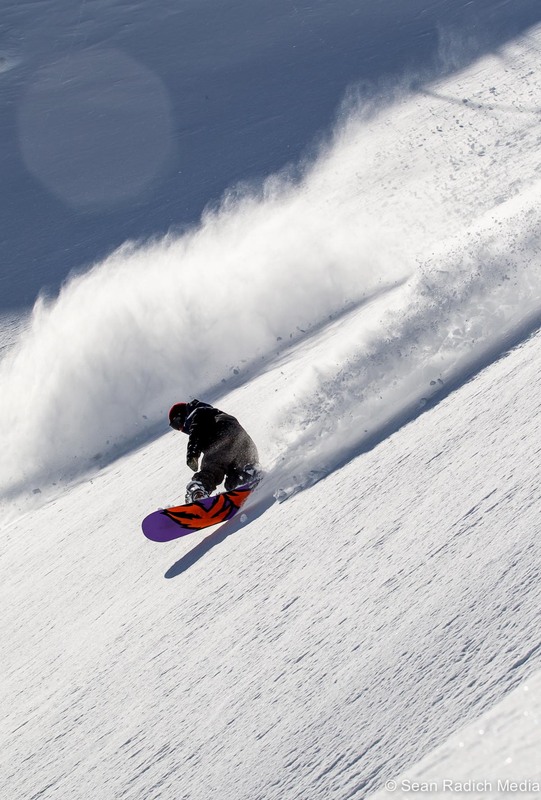 Kyle Mack frontside 720 on day one of Stylewars on World Snowboard Tour’s website. Photo and press release text by Sean Radich. For 18 months I sat in the sunny Gold Coast office of the surf magazine, watching the palm trees out the window and looking for a change in wind direction that signalled “down tools” across the office and a race to the Burleigh Point, or mid-Gold Coast beachies. 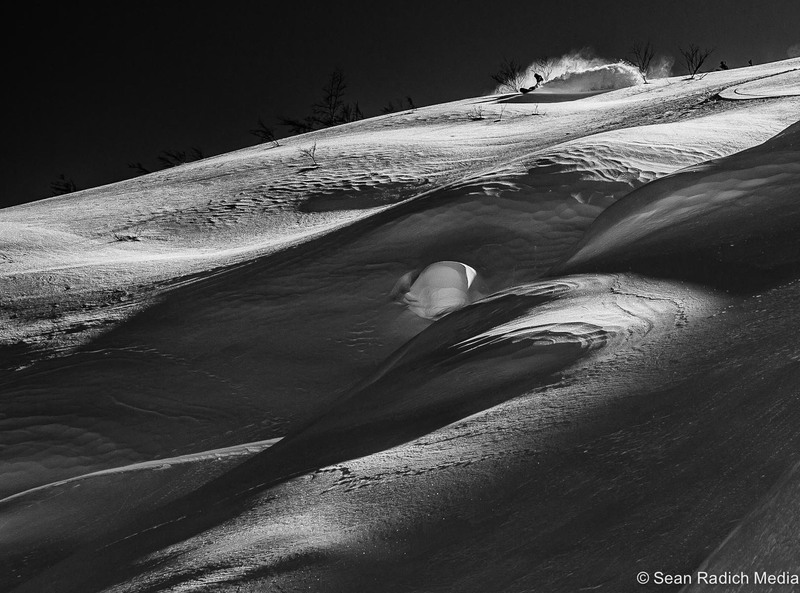 But the whole time I was sitting in board shorts and thongs and enjoying the security (and paycheque) of full-time employment, I was more often than not dreaming of sub-zero temperatures, icy faceshots and the quiet solitude of hiking through the backcountry with a camera in hand. 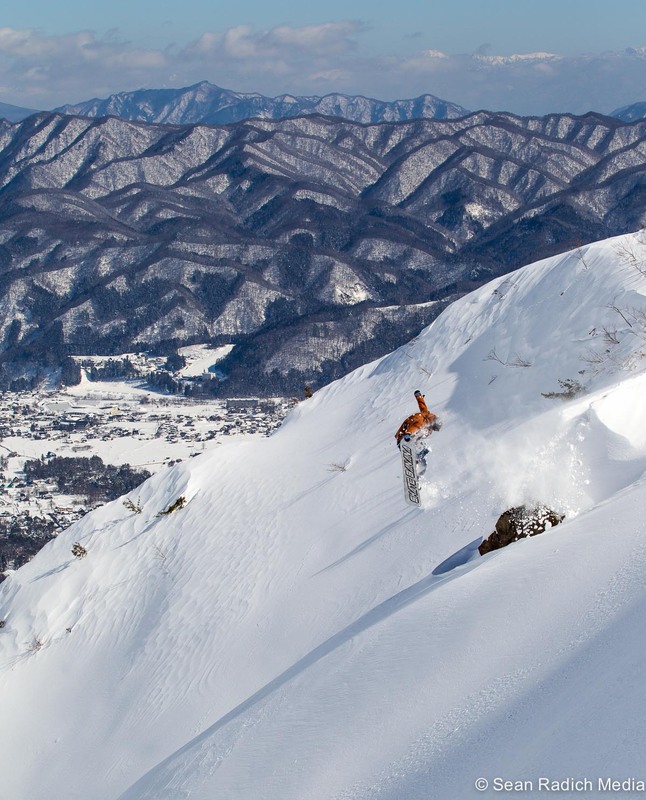 If there was one major gripe I had with what many would consider a dream job, it was that as the Online Editor for a major surf magazine, I just didn’t get enough time to follow my true love: snowboarding. 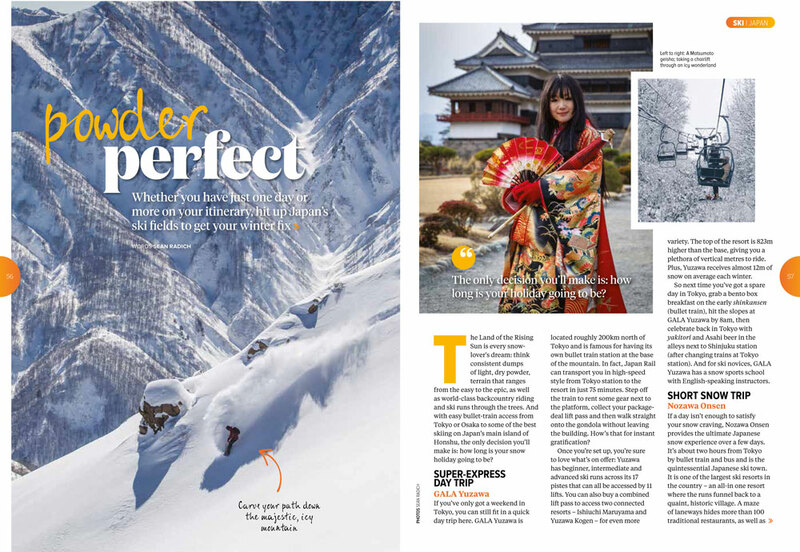 So when I left the magazine, the first thing I did was book a trip to Japan. 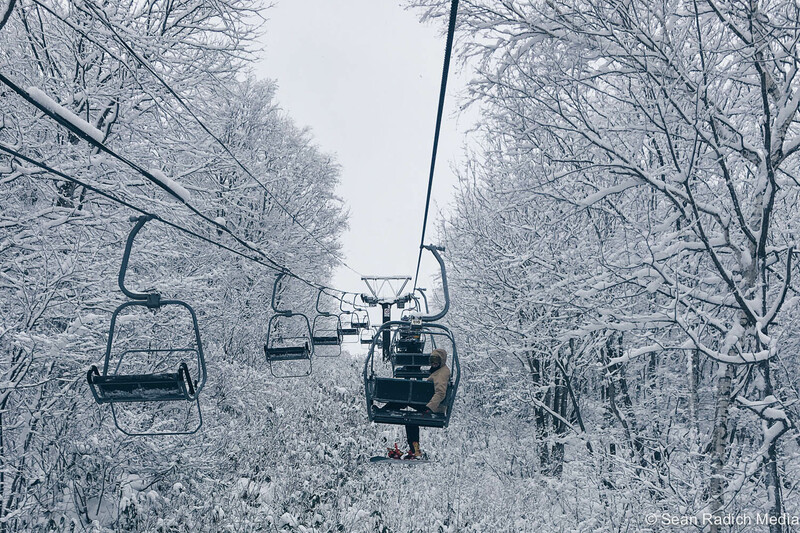 I wanted back in the game … and with four weeks in peak pow season, the game was sure to be on. 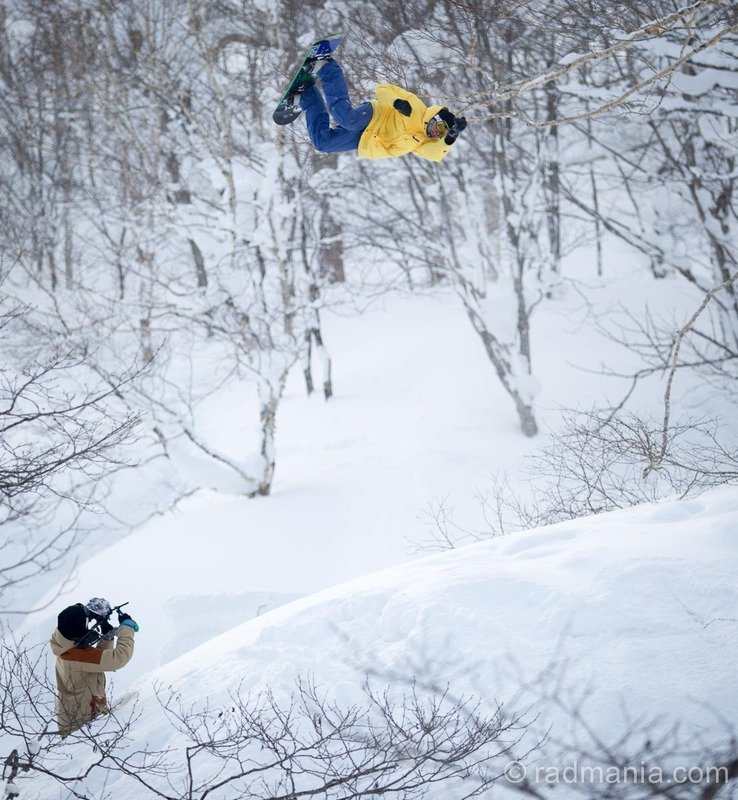 Dane Tiene had teamed up in Niseko with the kiwi boys, filming their webisode project across the island of Hokkaido, Japan Journals. 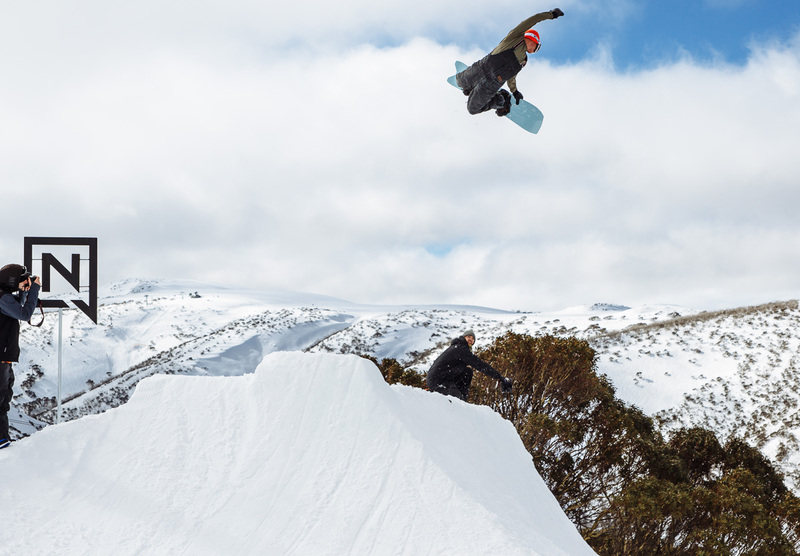 And although I wasn’t able to meet up with ol’ mate Dane before he flew out, Nick Hyne and Nick Brown were more than happy to have me tag along and shoot some snaps with Connor Harding and filmer Heath Patterson. It’s always a pleasure to work with the kiwis, as every one of them is just so chilled, friendly … and willing to throw down at every opportunity. 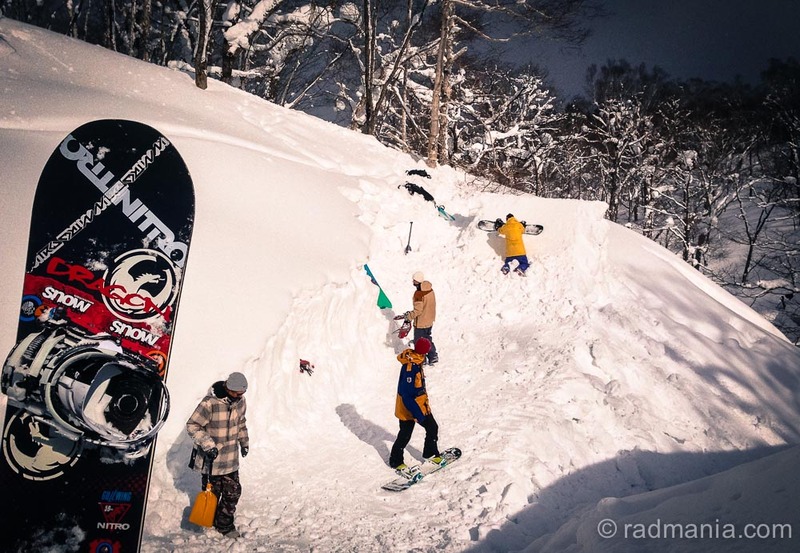 And with Japan Journals, these boys are onto a good wicket, producing some great snow-travel-themed web edits full of banging tricks with some great backing from their sponsors. 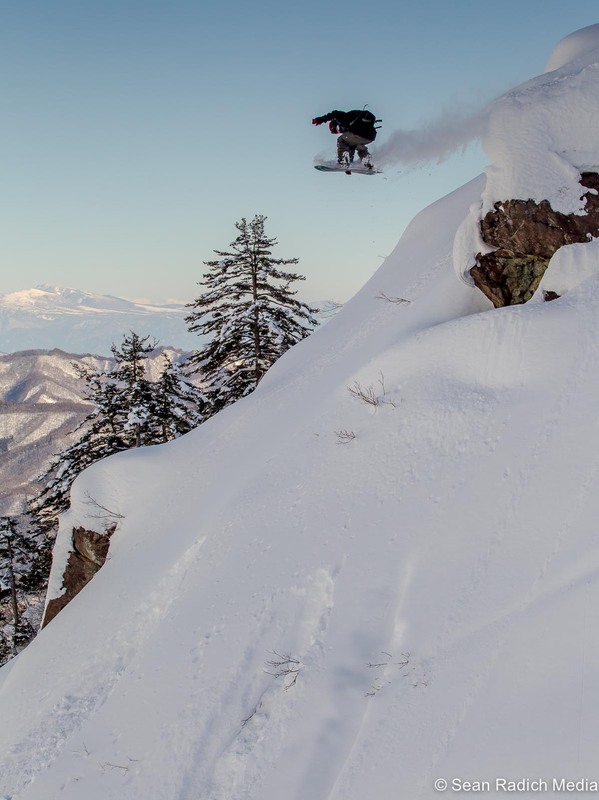 Veteran shredder Nick Hyne has been to Japan more than a dozen times after first visiting on a high school exchange program, and so I had no doubt that he would have the locations dialled. 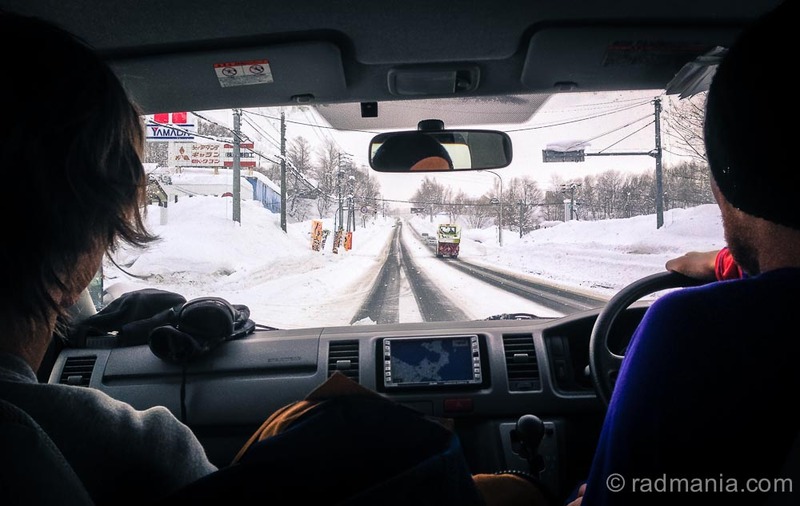 And so for two days in late February the boys picked me up in Niseko in their Rhythm Snowsports-supplied van to shoot a backcountry jump hidden not far up a valley in the mountains halfway back to Sapporo, and a pillow-line cliff band outside Niseko. 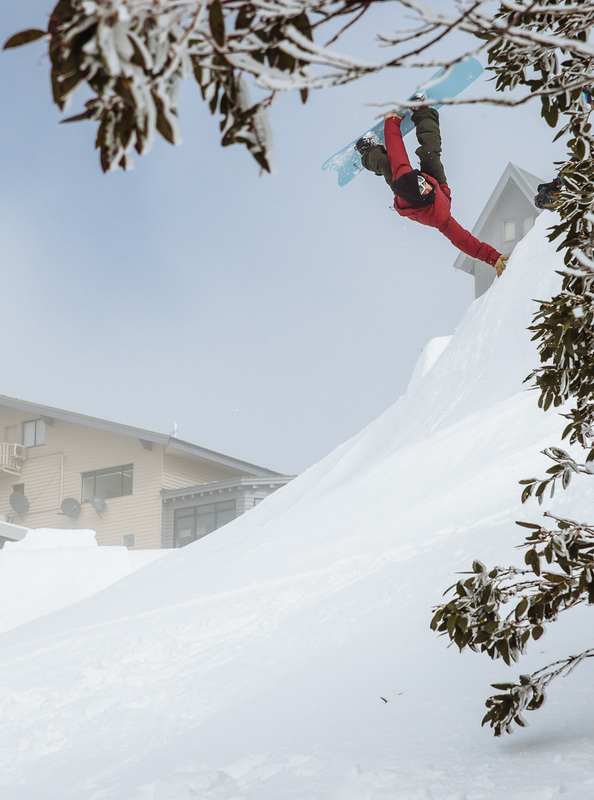 Check out the jump we shot at 3:15 in this Japan Journals episode. 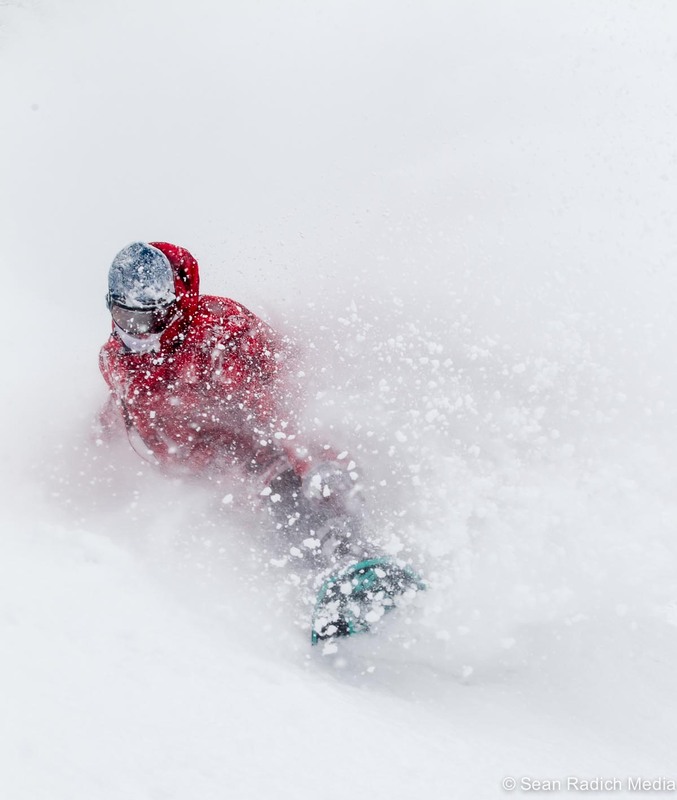 While it might have been just another couple of days in front of the camera for the boys, for me it was quite a successful two day return to the snowboard photography game. 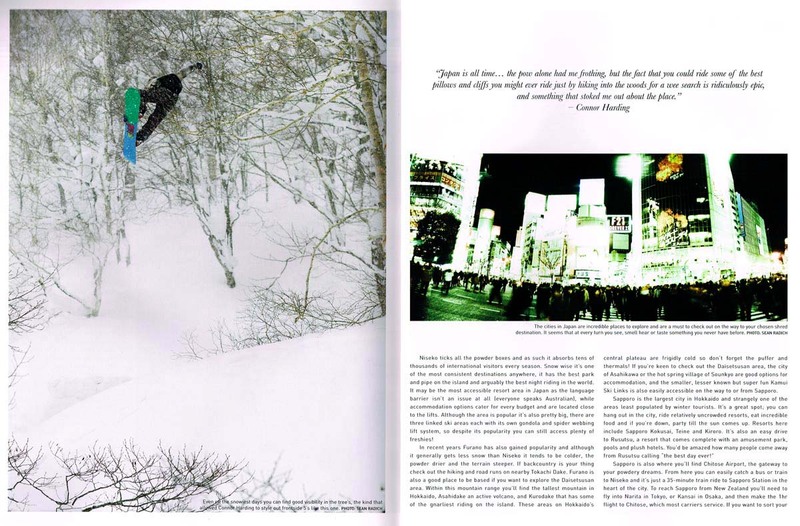 The great li’l shred magazine from the other side of the Tasman, NZ Snowboarder, was looking for some shots of Hyner, Browner and Connor and I managed to have a couple of shots published full-page, as well as a double-page spread with one of my Shibuya Crossing 35mm film panoramas, and a couple more shots throughout the magazine’s two issues of the 2013 winter. 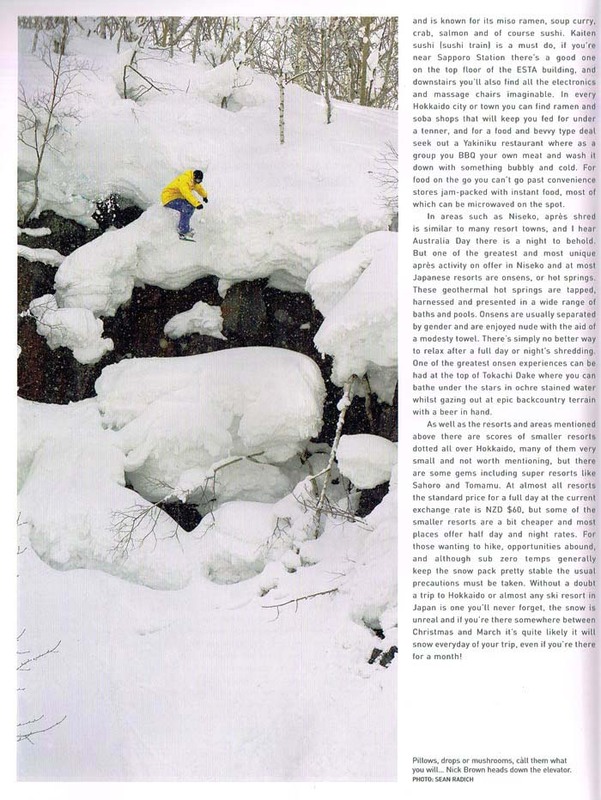 And through Nick Hyne I was able to tee up one of my shots being used as a full page ad in the skate and snow mag, Manual Magazine. Not a bad outcome for two day’s shooting, if I do say so myself! 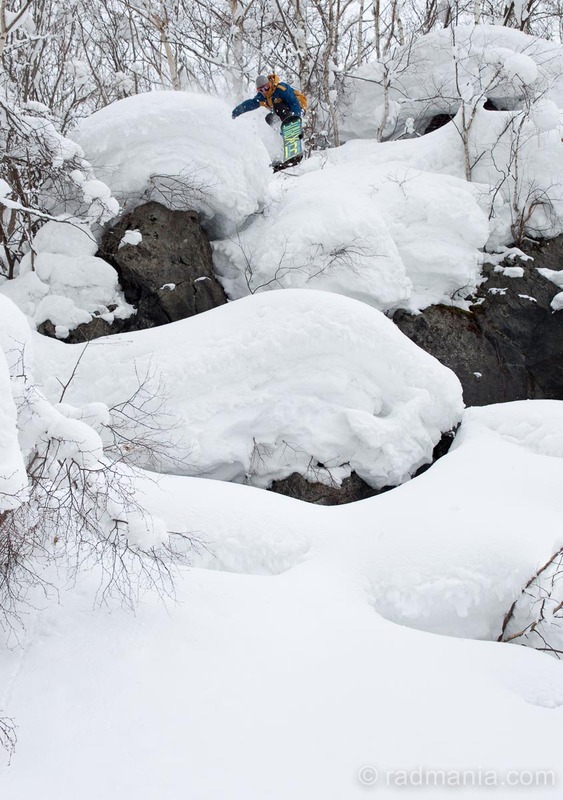 And with another snow trip booked (back to my second home, Lake Tahoe) for this February, I can say: it’s good to be back! 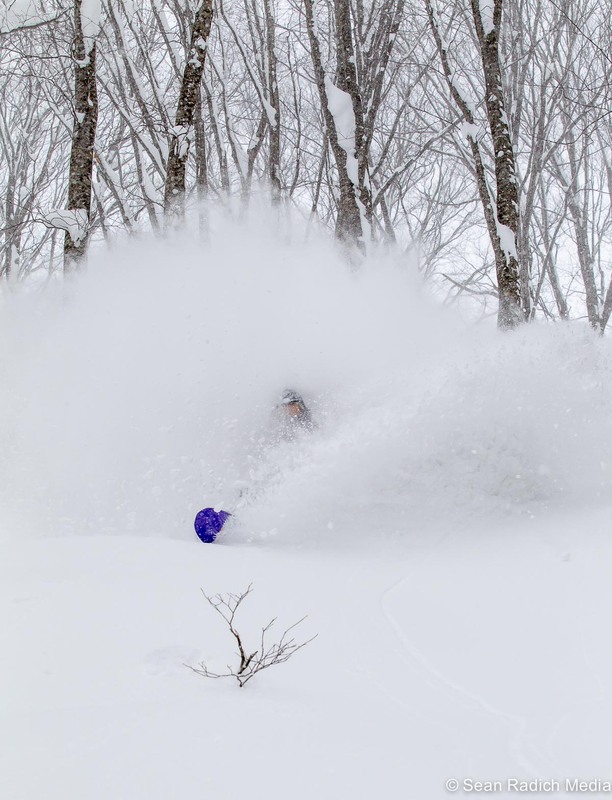 Yep … it was pow season in Niseko during February 2013! 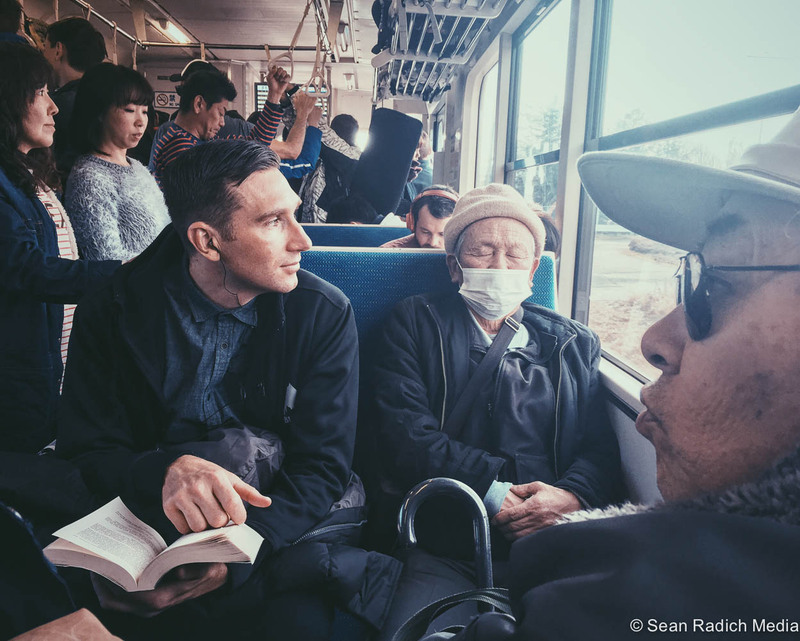 On the road with Japan Journals. 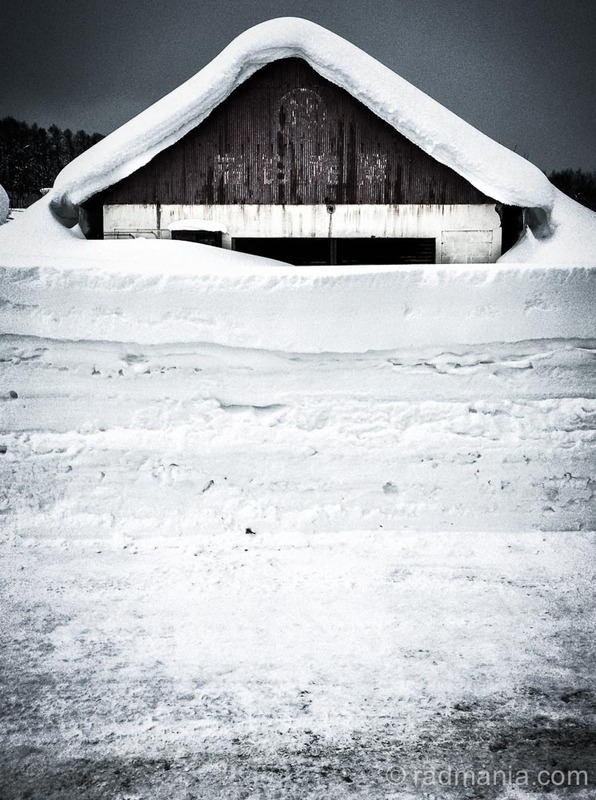 Kutchan, just outside Niseko. Pulled over somewhere on the highway. Jump building with the Japan Journals boys. 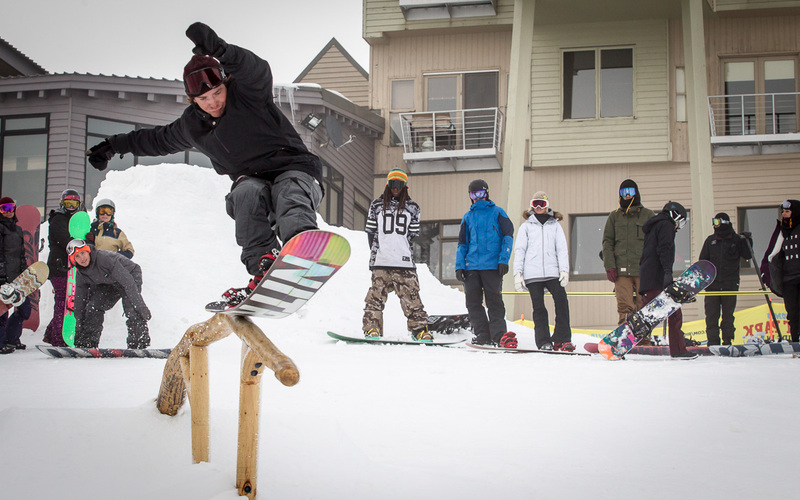 Nick Brown warming up with a frontside 360. 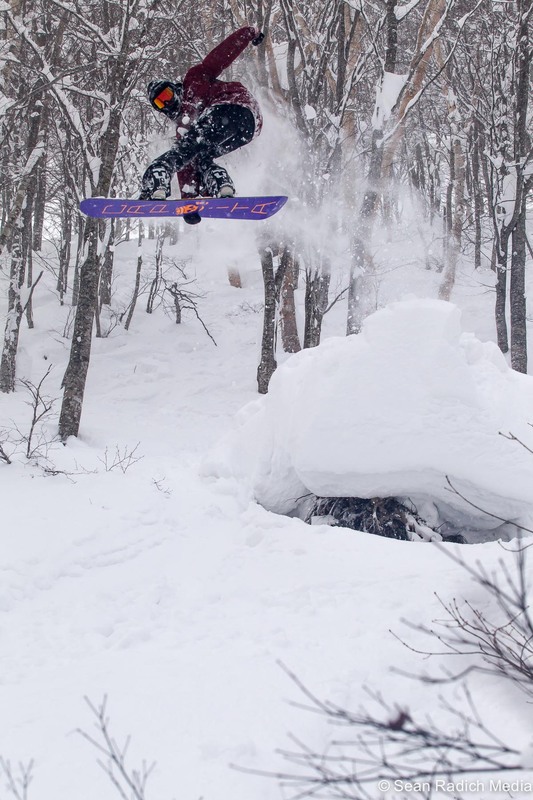 Connor Harding dodging branches while he gets close to check out the Niseko tree-living wildlife (Heath Patterson). It doesn’t always go to plan. Nick Brown bailing mid air. 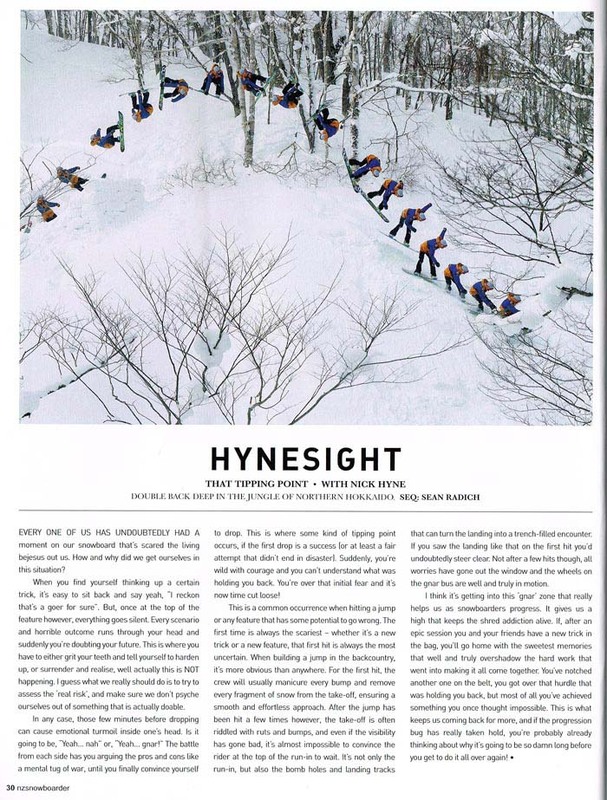 Nick Hyne’s wise words alongside my photo in NZ Snowboarder Issue 58. 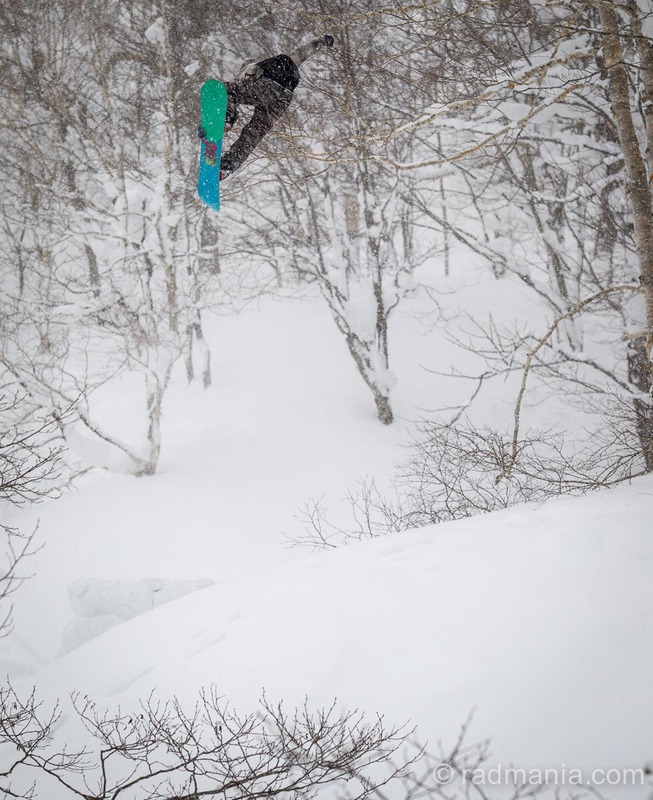 Double-back flip from Nick Hyne. You can see the front-on angle in the video above at 3:24. Full page for Connor Harding. Nick Hyne styling a melon on this pillow drop. 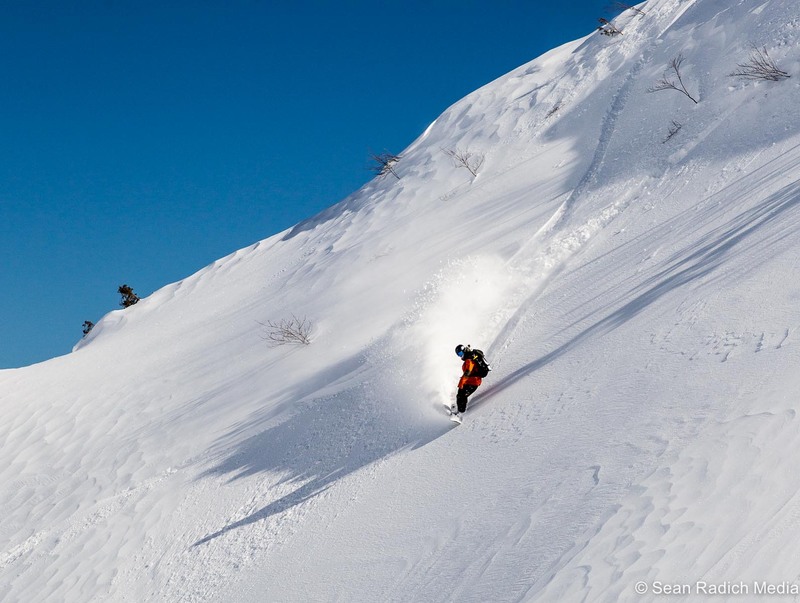 Back-lit vapour trail as Connor Harding bounces off Niseko pillows. 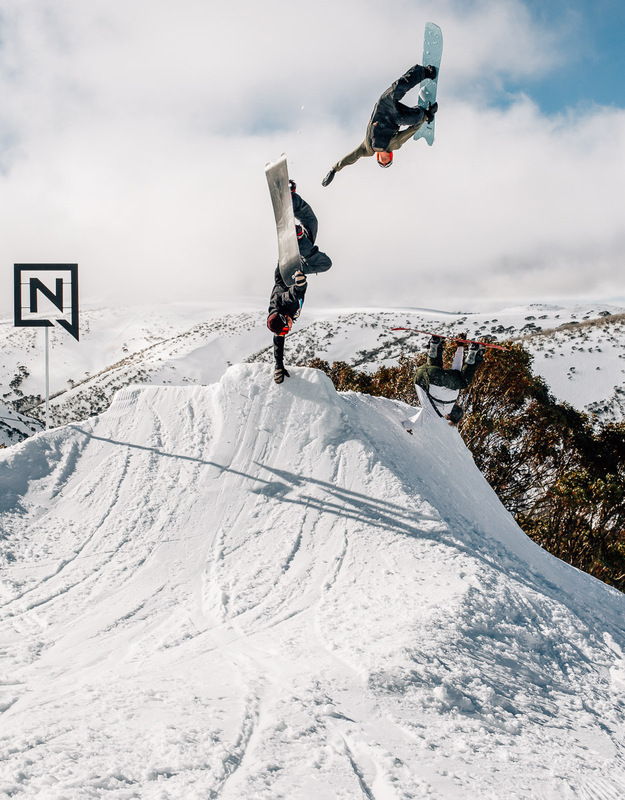 Double pager in NZ Snowboarder Issue 59. 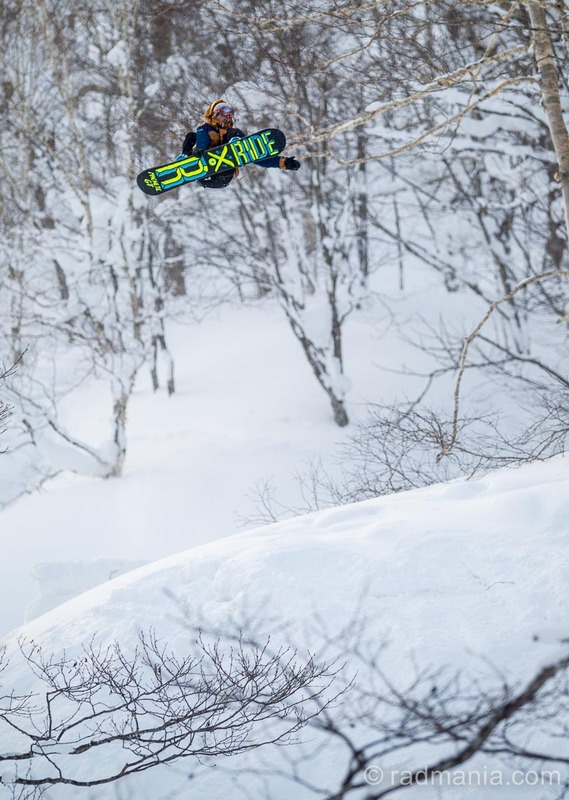 Connor Harding dodging millions of fat Hokkaido flakes on this frontside 540. Check out the footage at 3:28 in the video above. Shibuya Crossing shot with a Russian-made Horizon Perfekt swing-lens pano-camera, on cross-processed 35mm Fuji Provia 400 film. 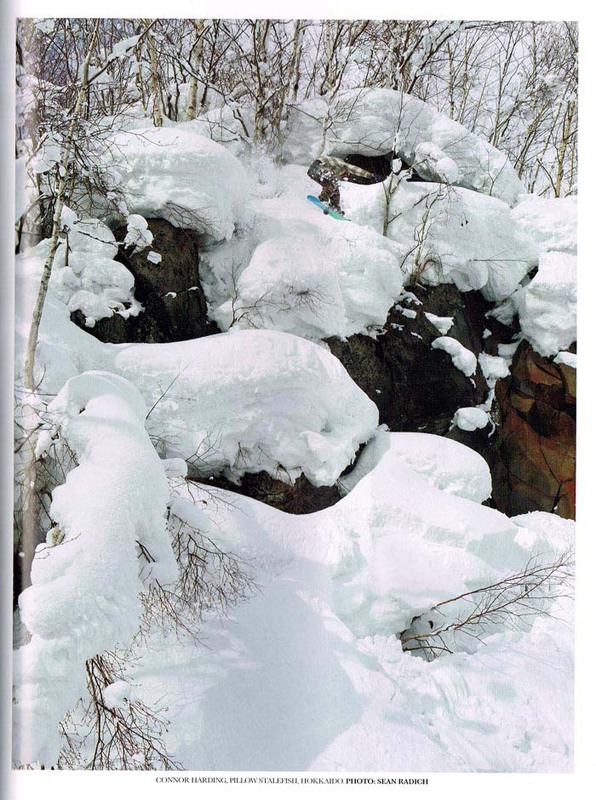 Nick Brown gettin’ ‘er done in NZ Snowboarder issue 59. 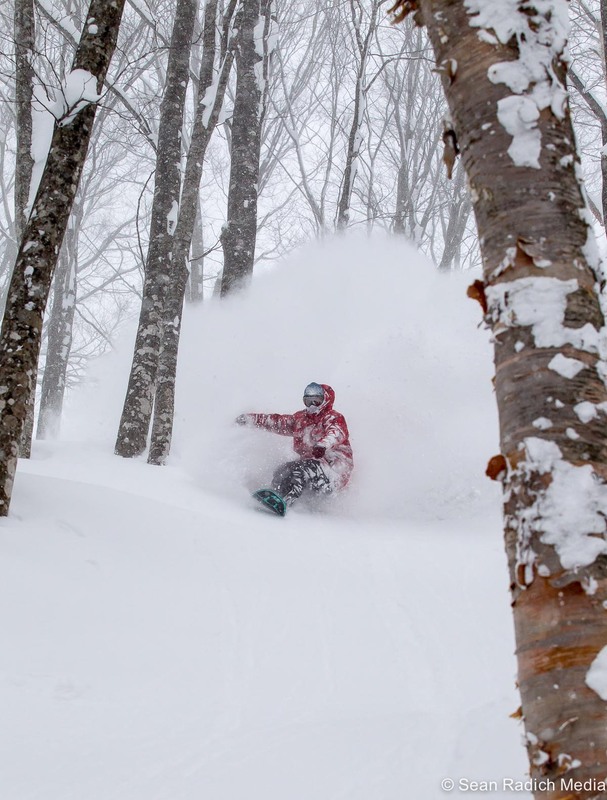 Droppin’ bombs on Niseko backcountry pillows. 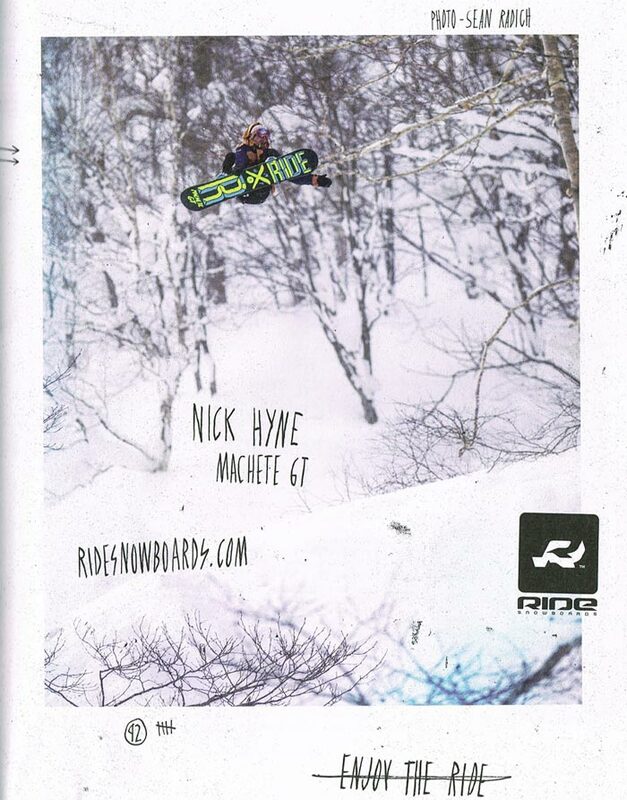 Nick Hyne advertising his Ride Snowboards Machete GT full page in Manual Magazein issue 50. 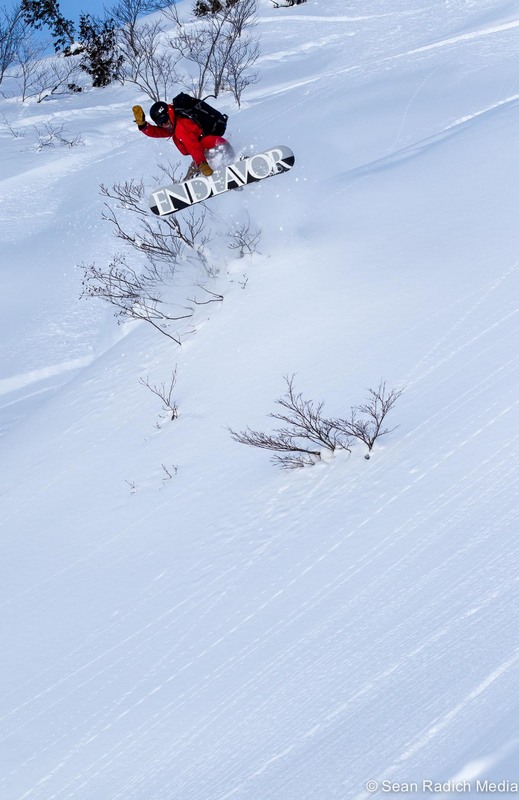 Nick Hyne launching and landing this frontside double cork 900. 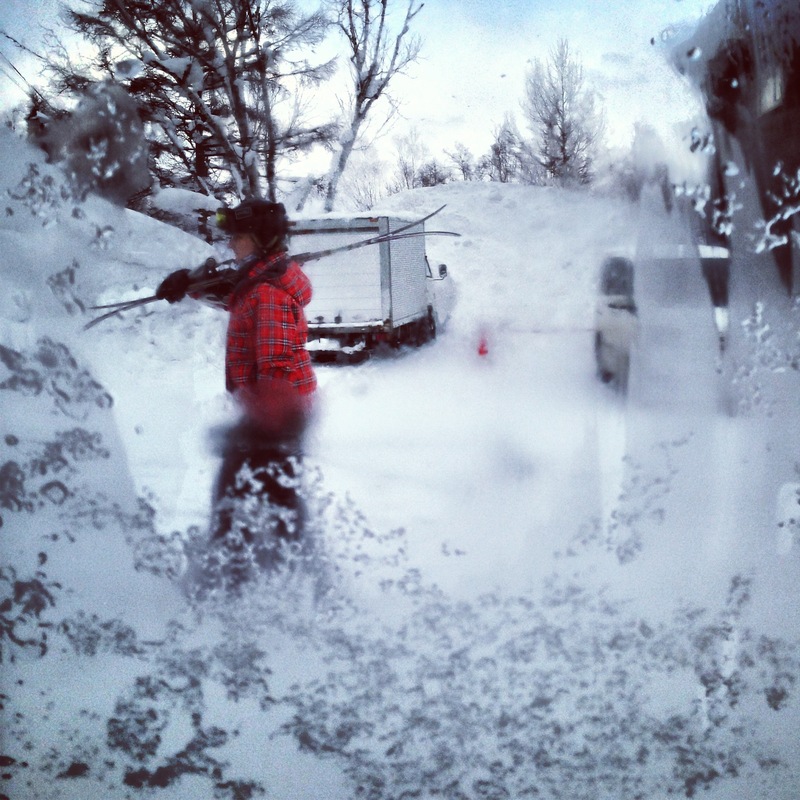 Looking out from the frozen Rhythm Snowsports van back in Niseko-Hirafu. 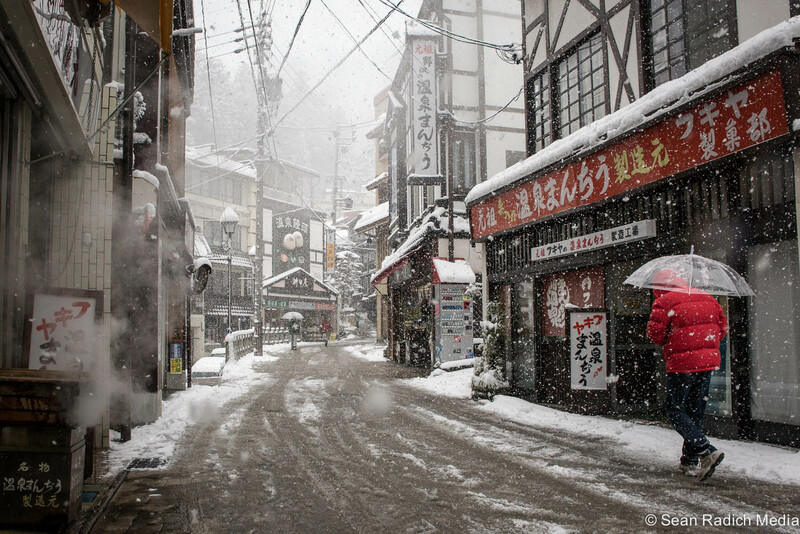 Wanna see more from Japan? 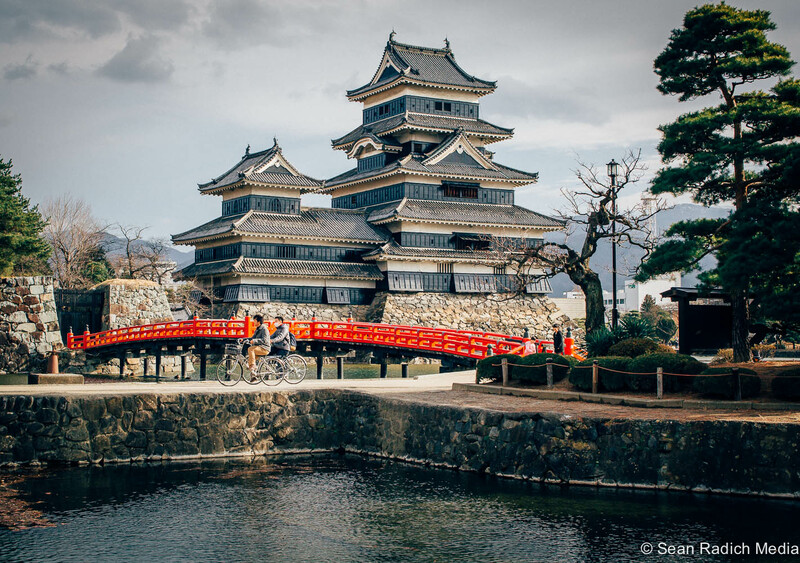 Take a look at my landscape and lifestyle photos from Japan here, and my iPhoneography from Tokyo here and Kyoto here. 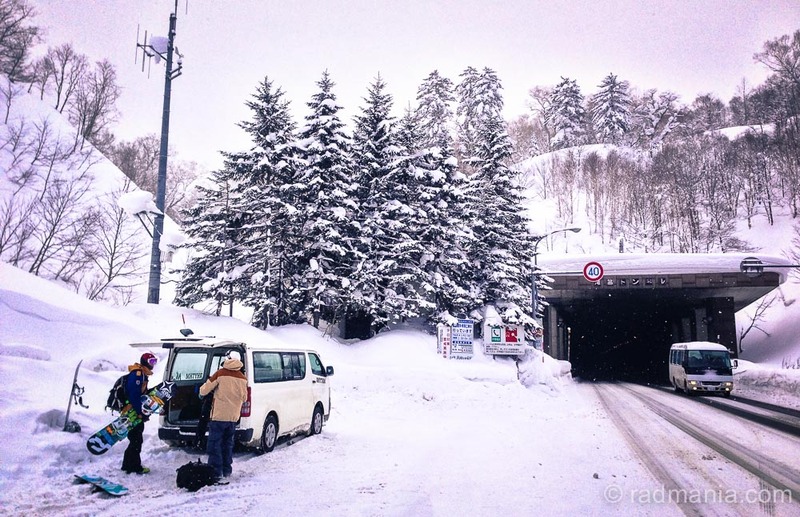 Follow Japan Journals on Facebook here for all their latest wintry adventures.